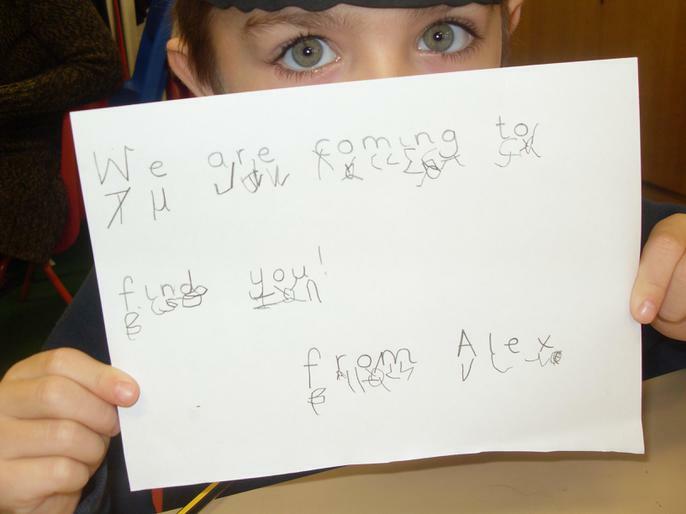 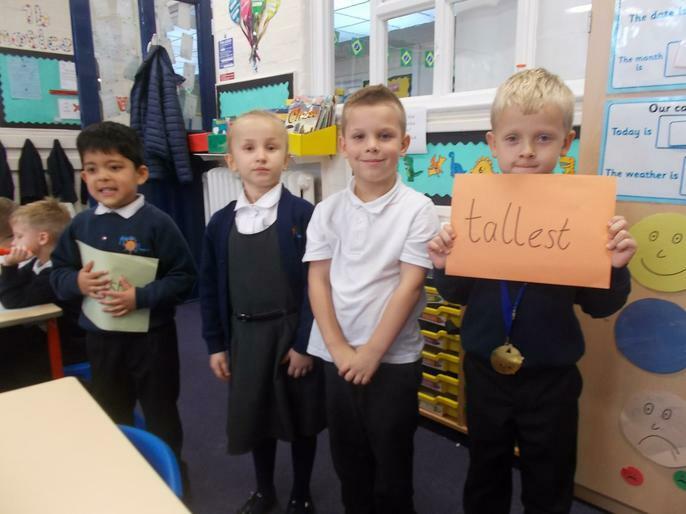 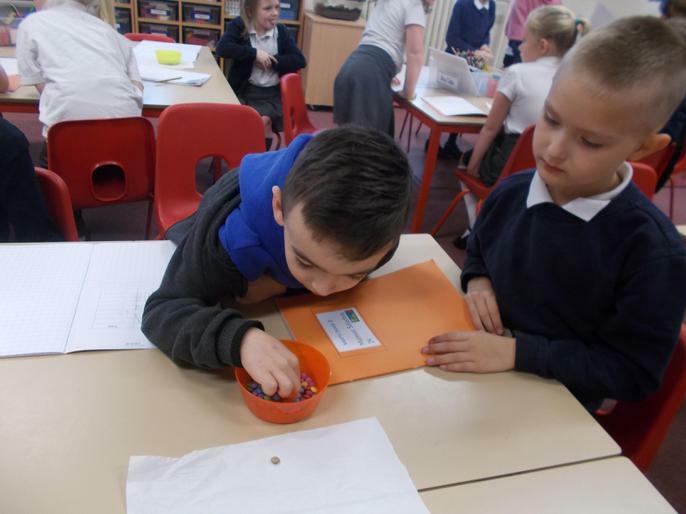 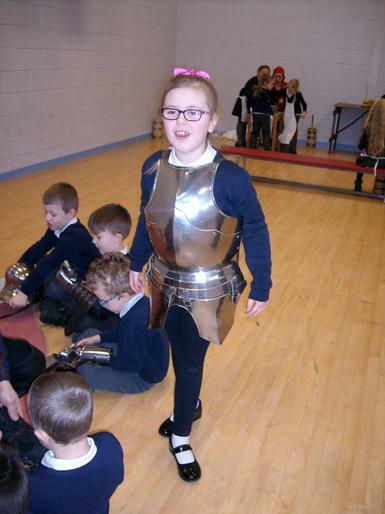 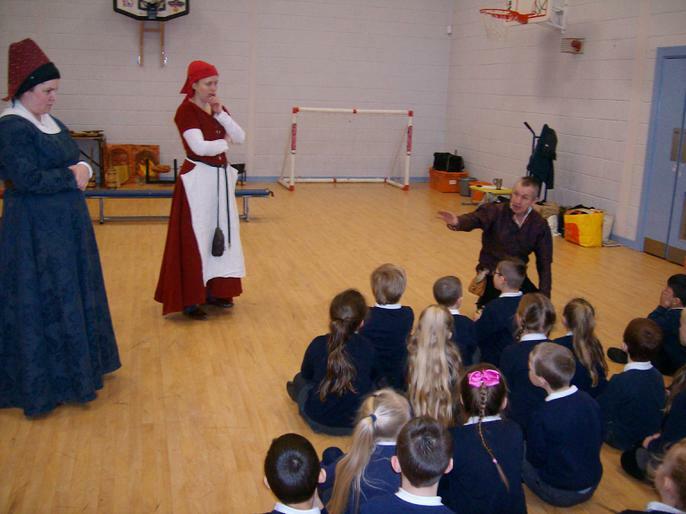 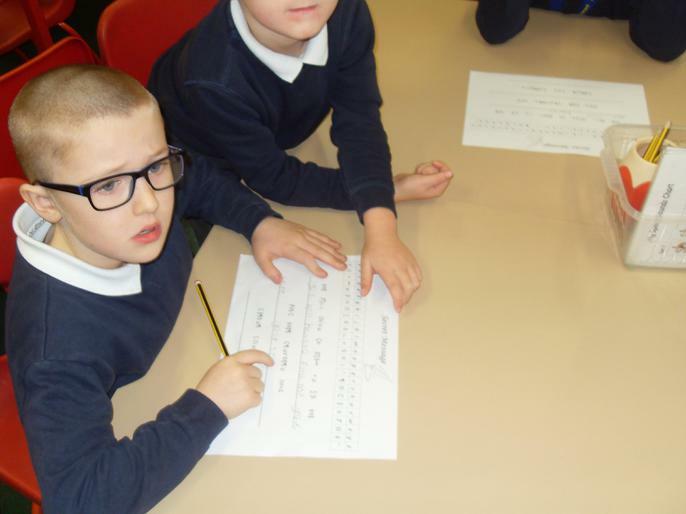 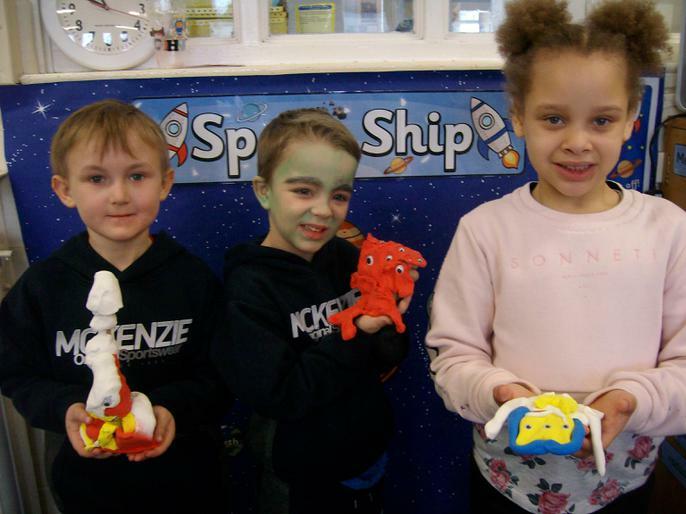 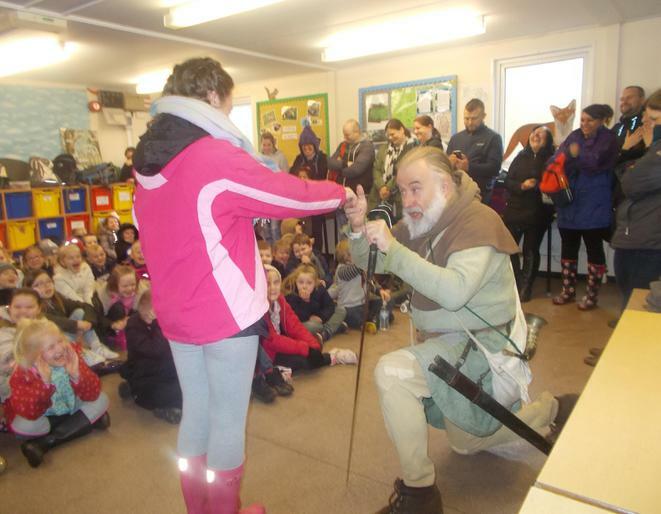 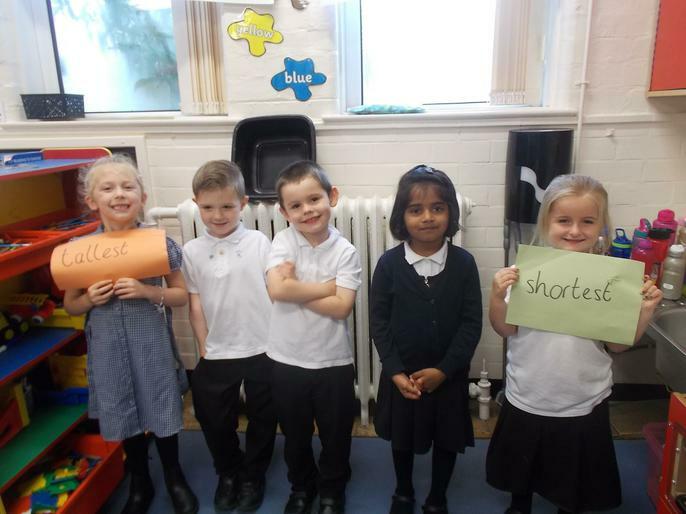 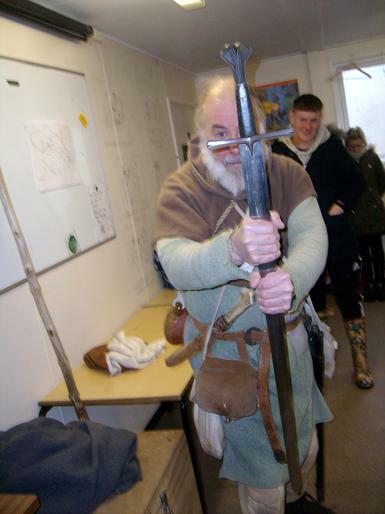 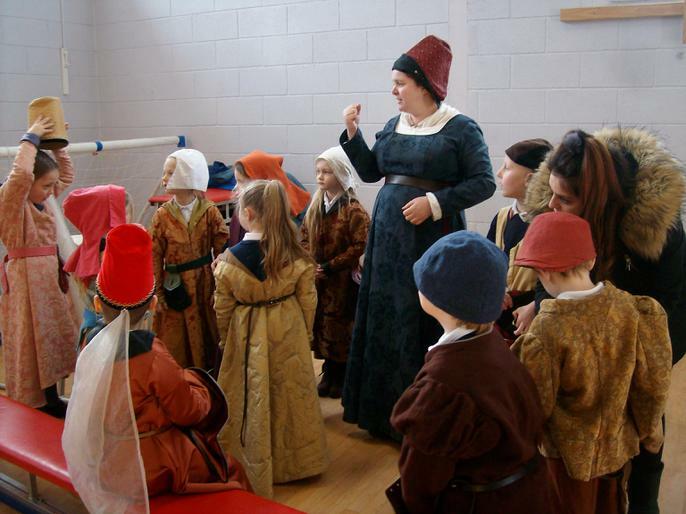 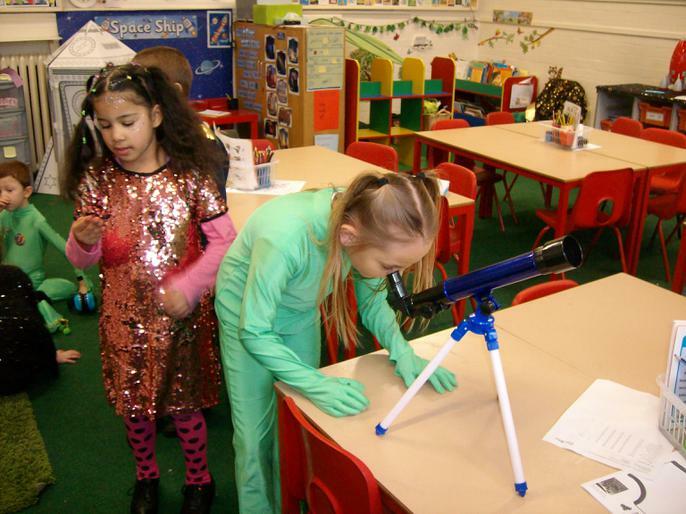 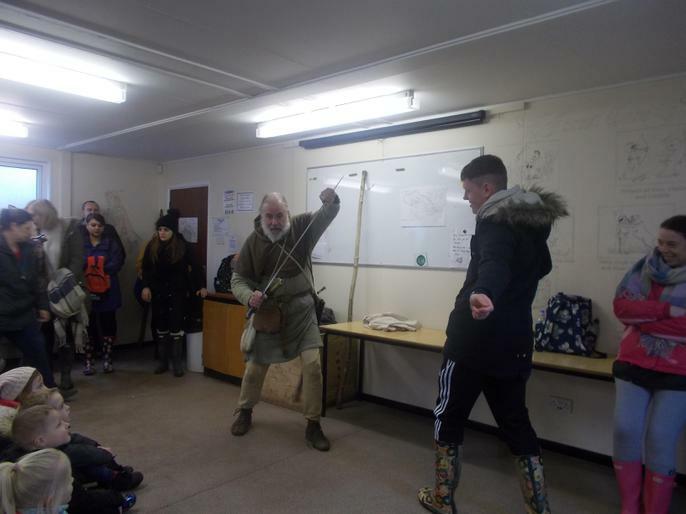 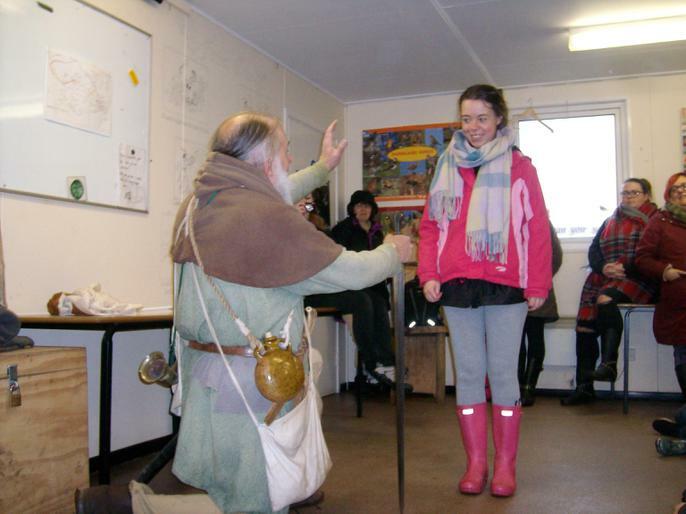 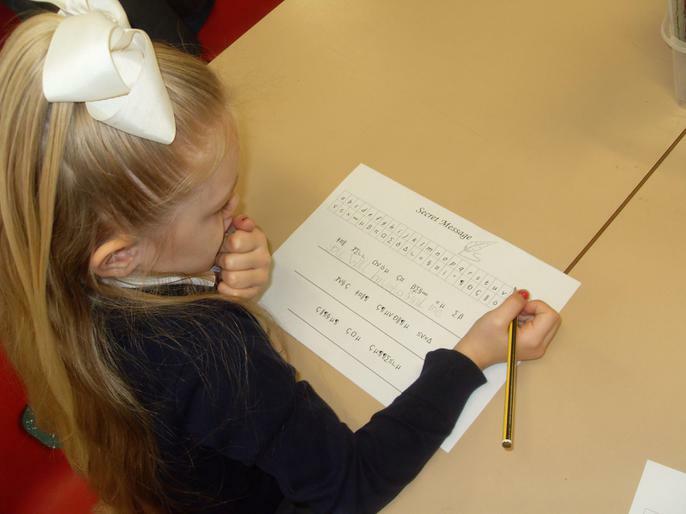 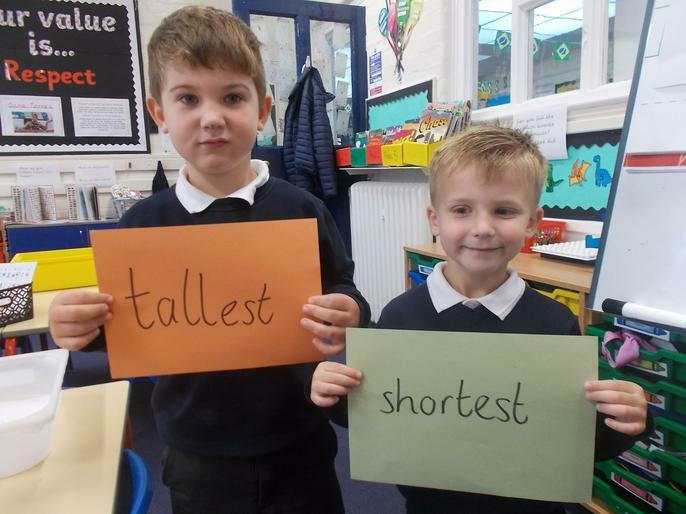 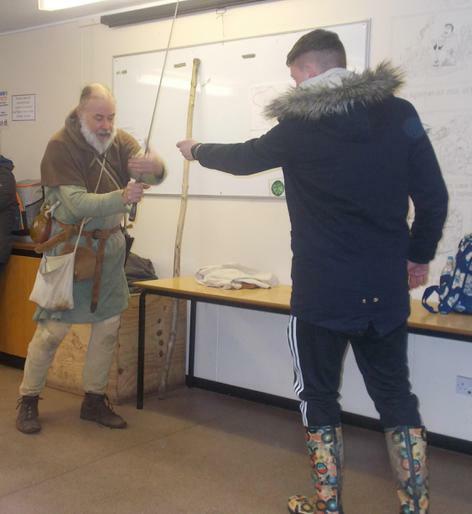 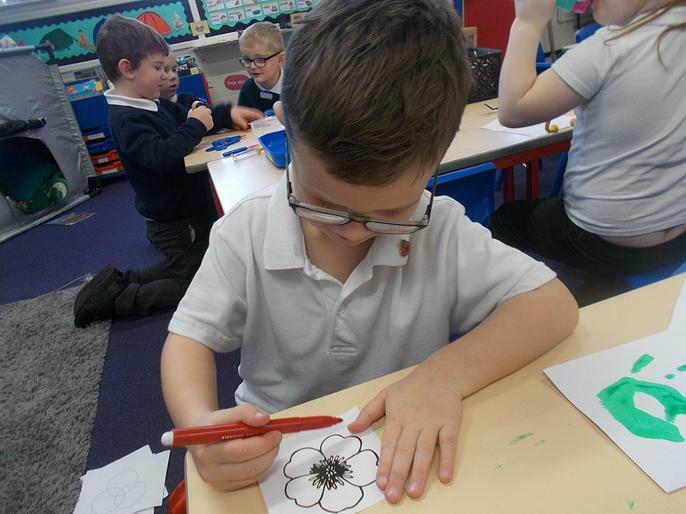 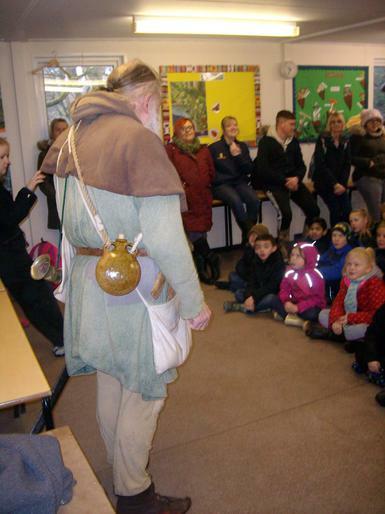 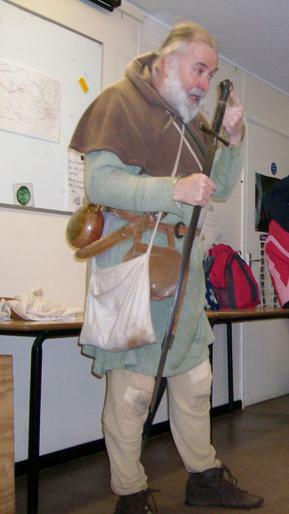 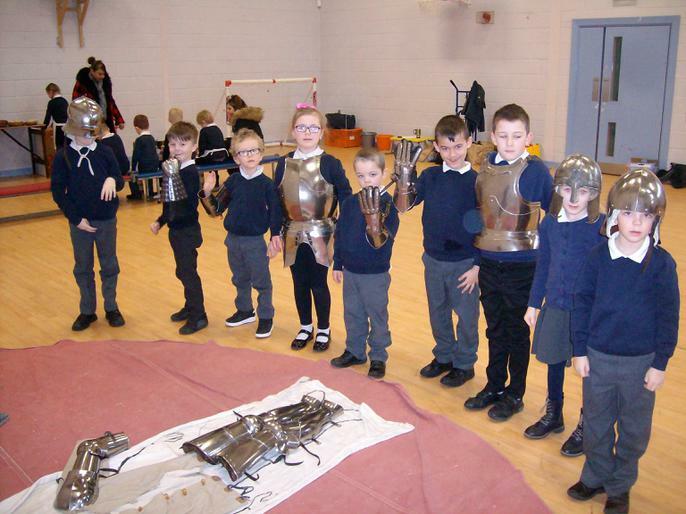 To launch our 'Robin Hood' topic we had a visit from a medevil company, who taught us all about medevil life and we received a few exciting letters from Robin Hood himself! 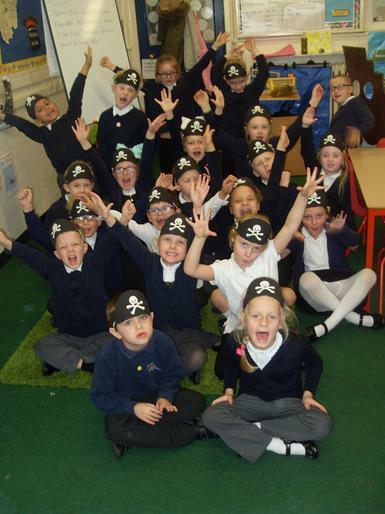 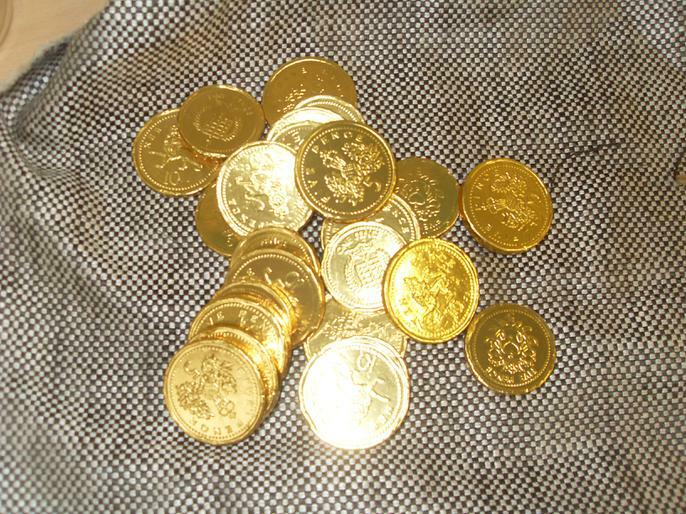 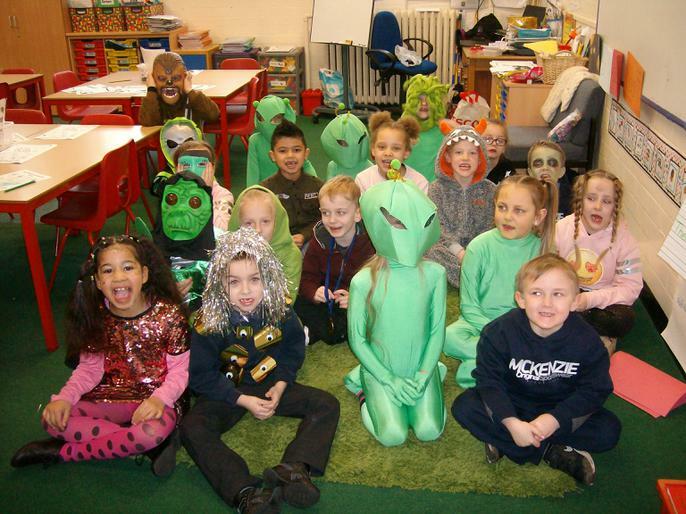 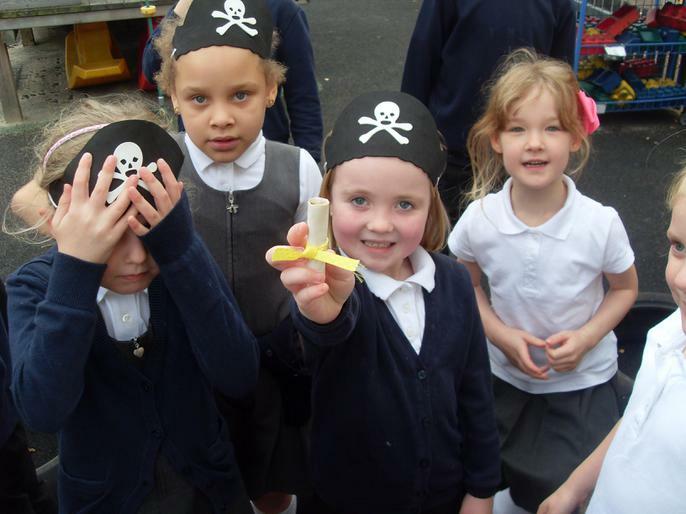 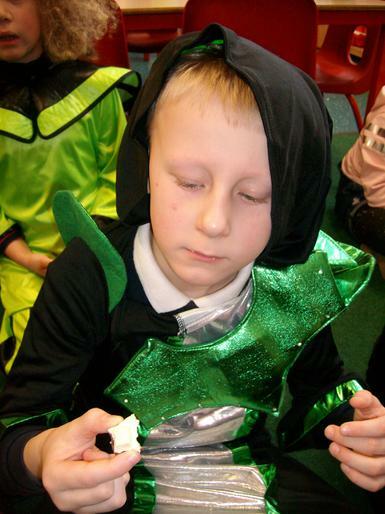 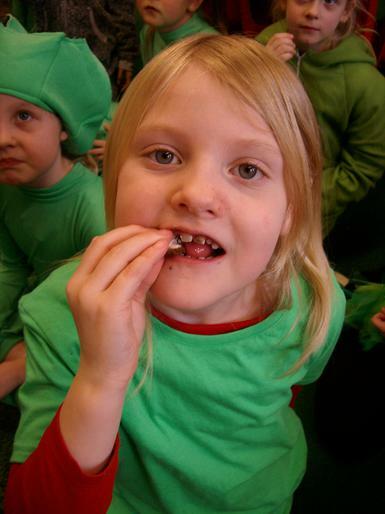 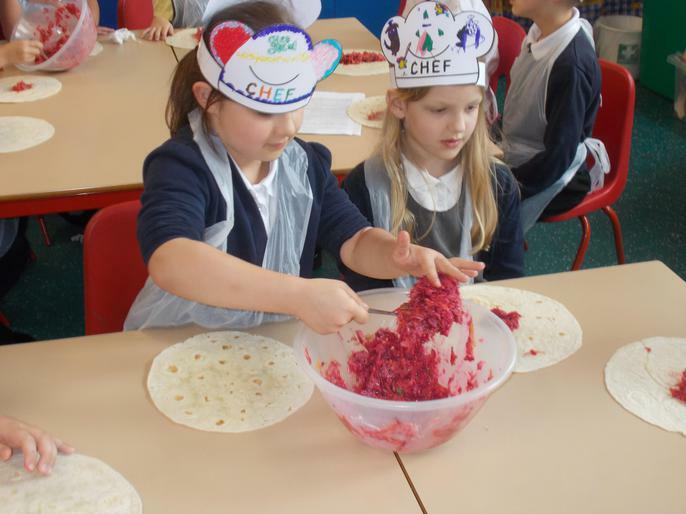 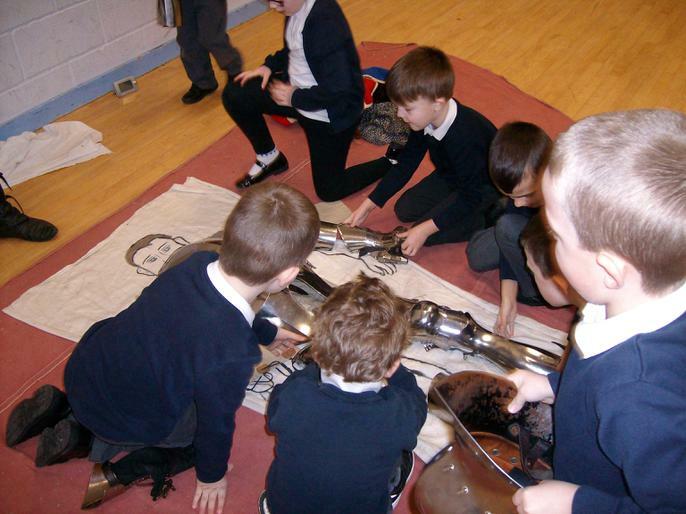 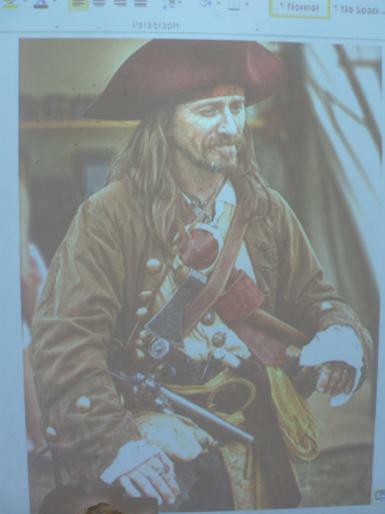 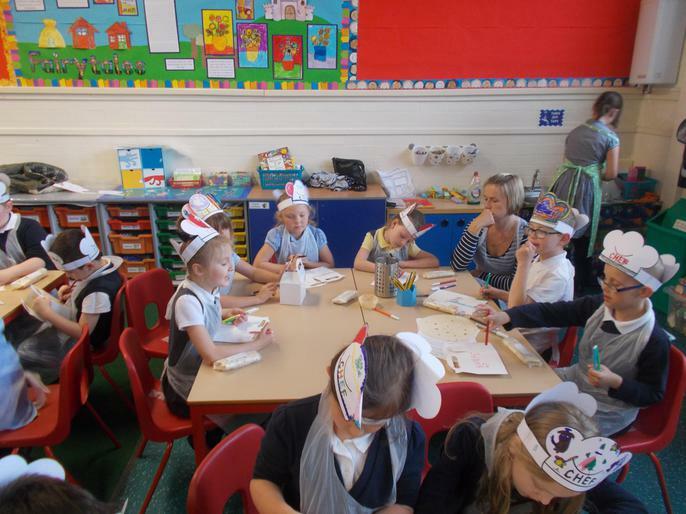 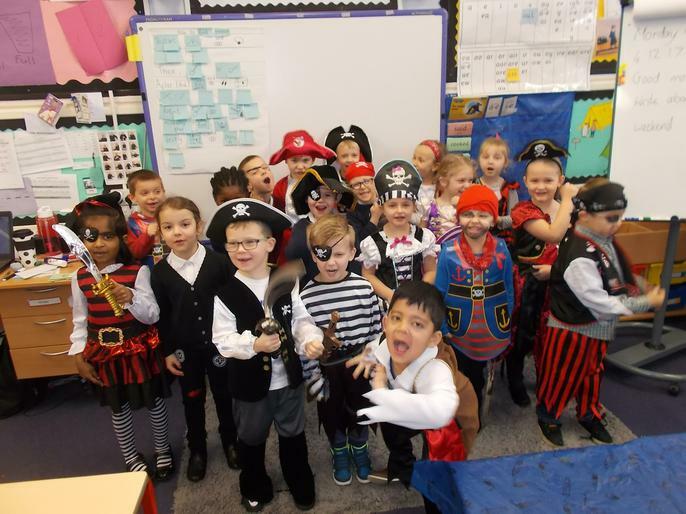 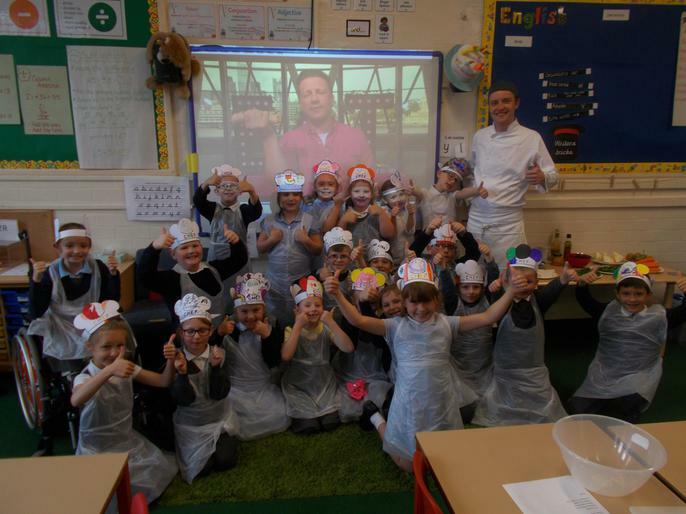 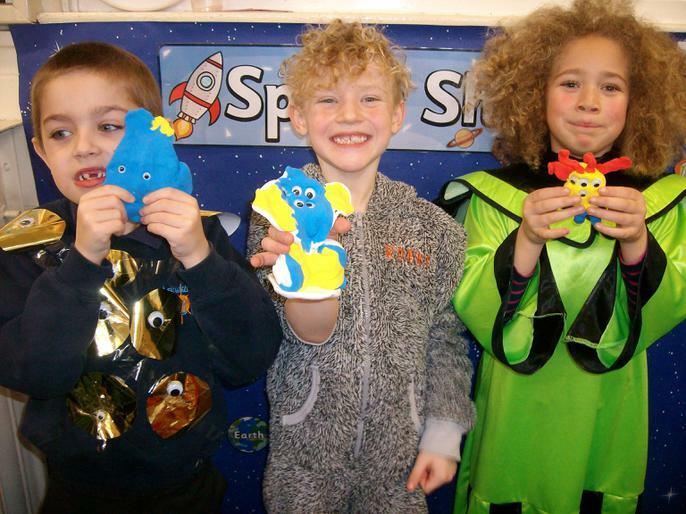 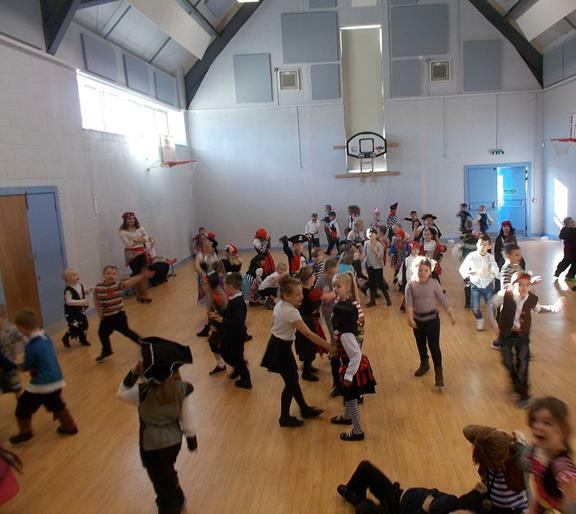 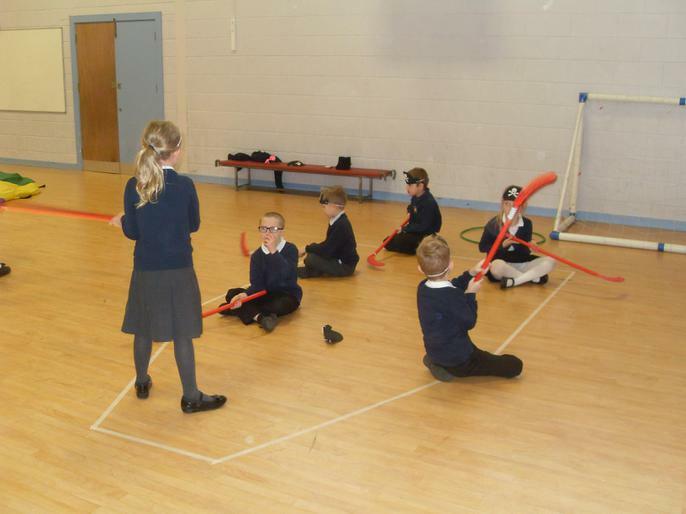 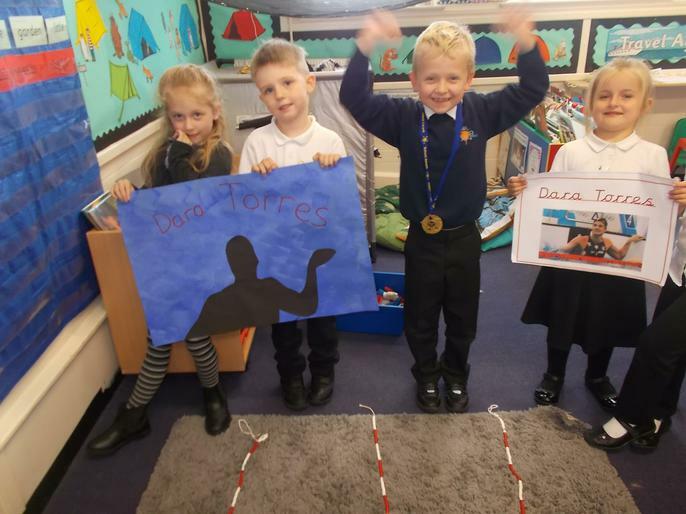 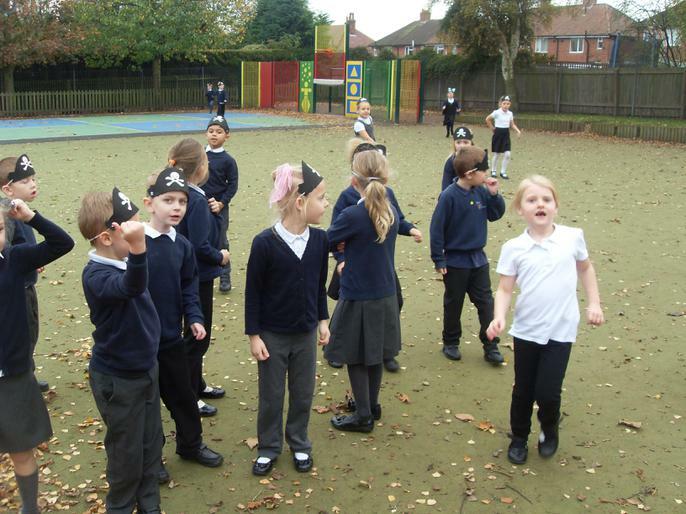 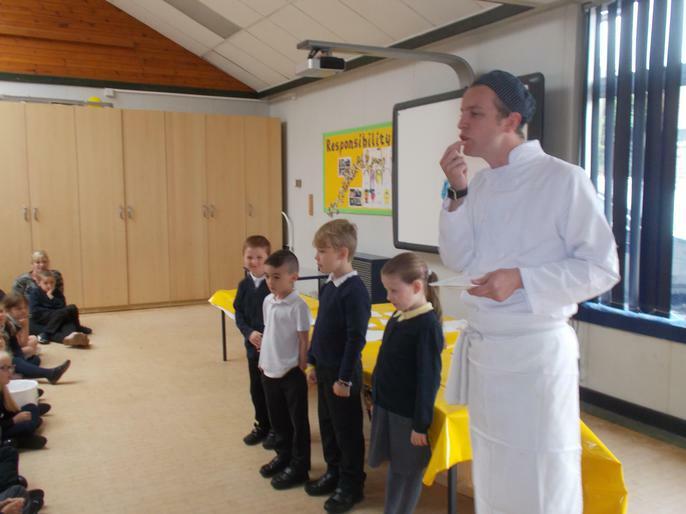 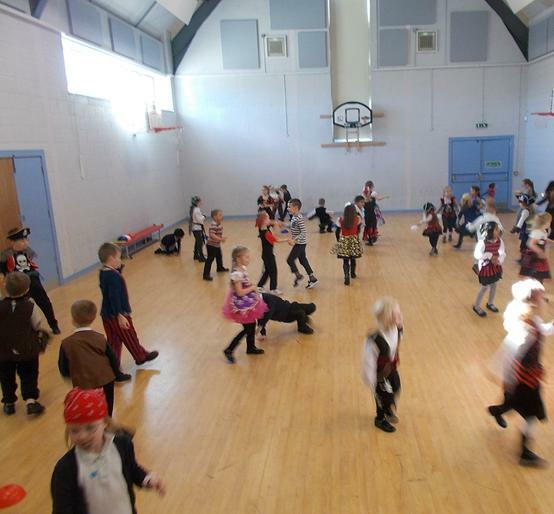 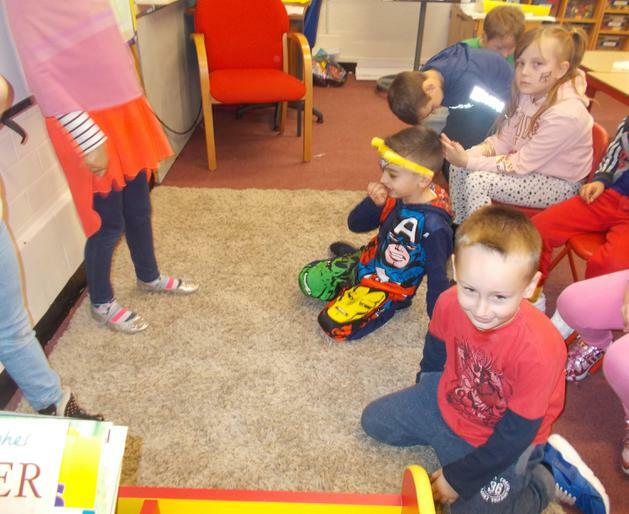 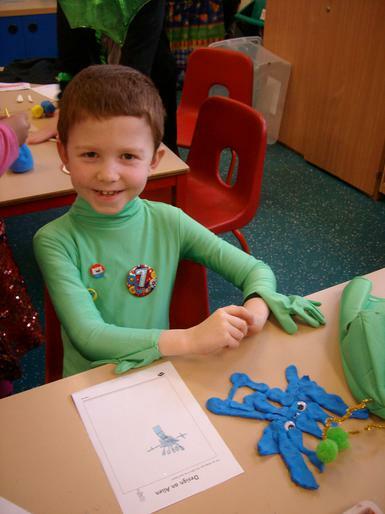 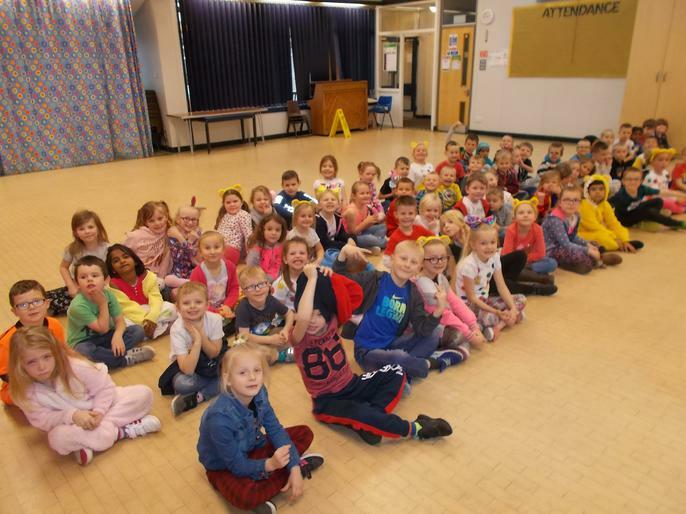 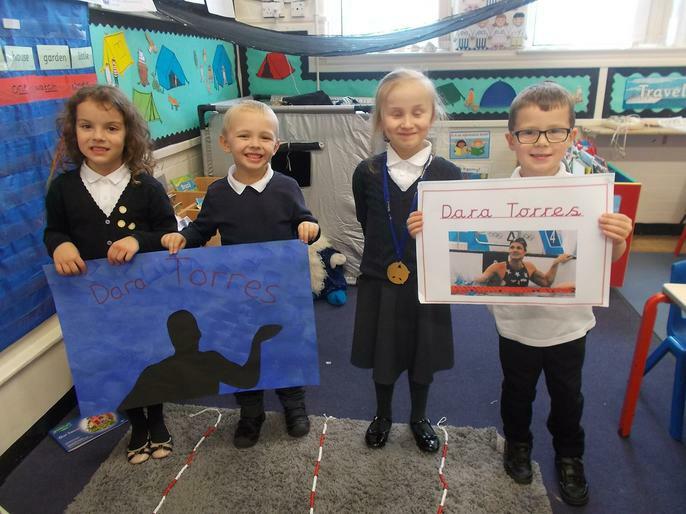 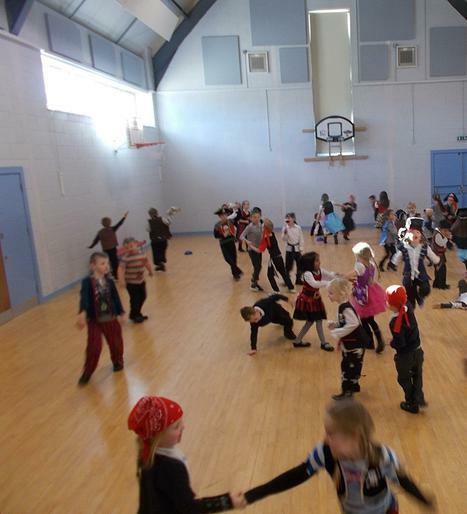 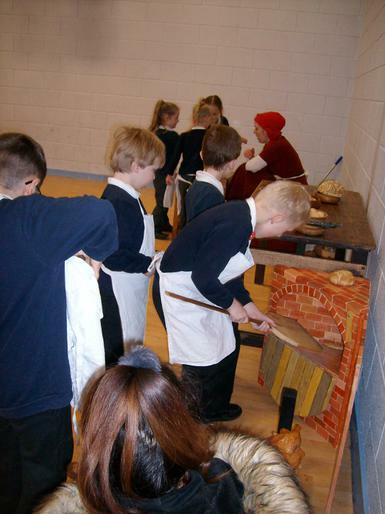 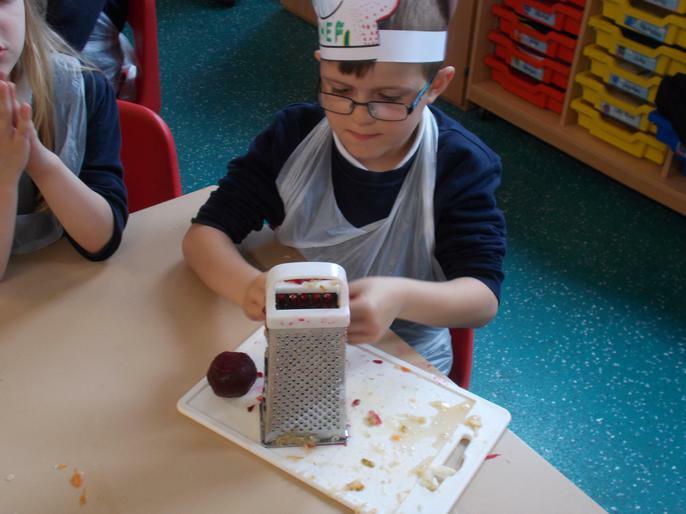 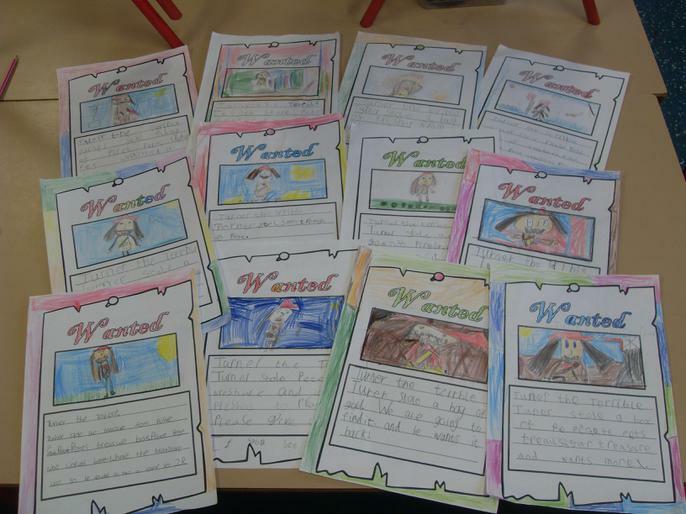 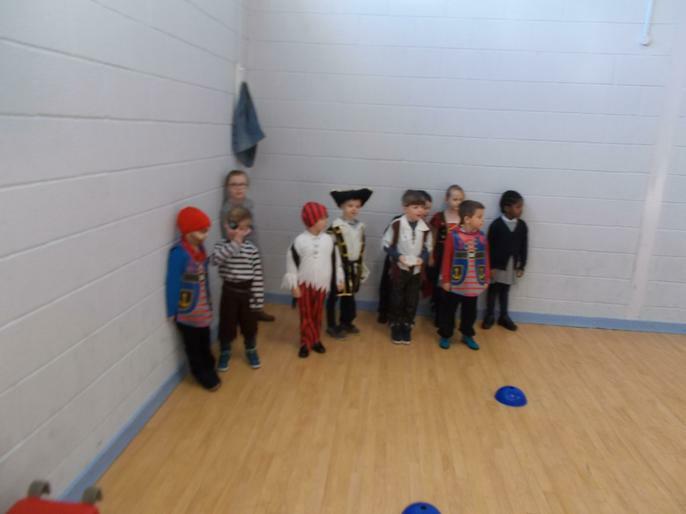 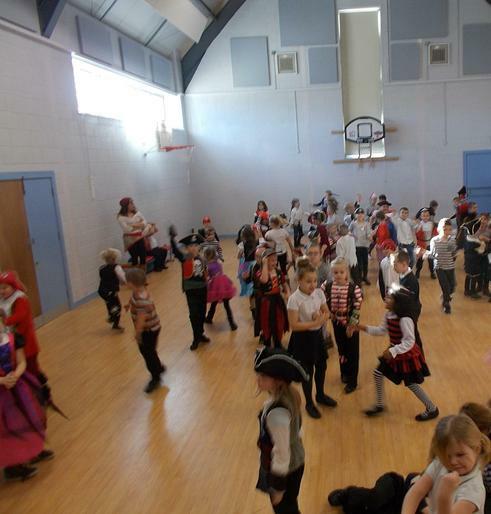 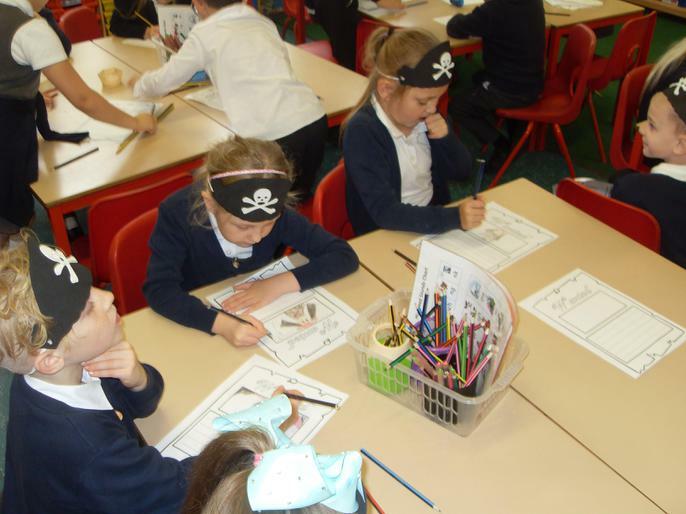 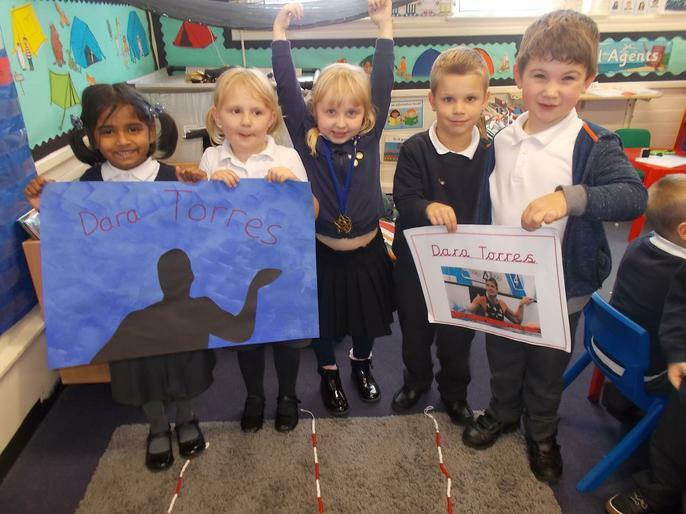 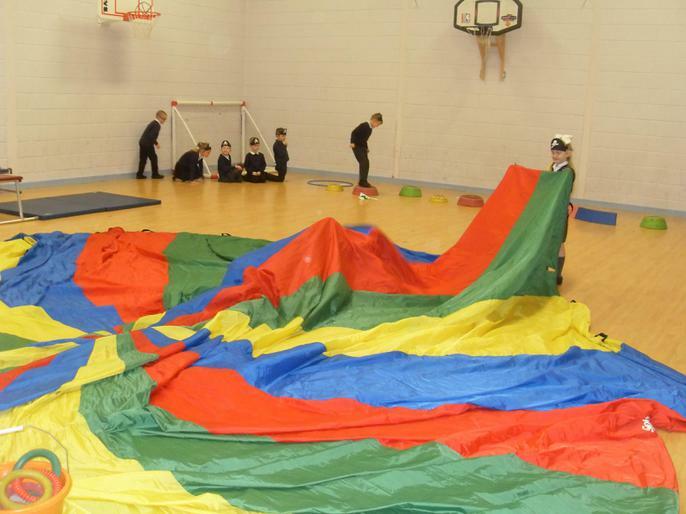 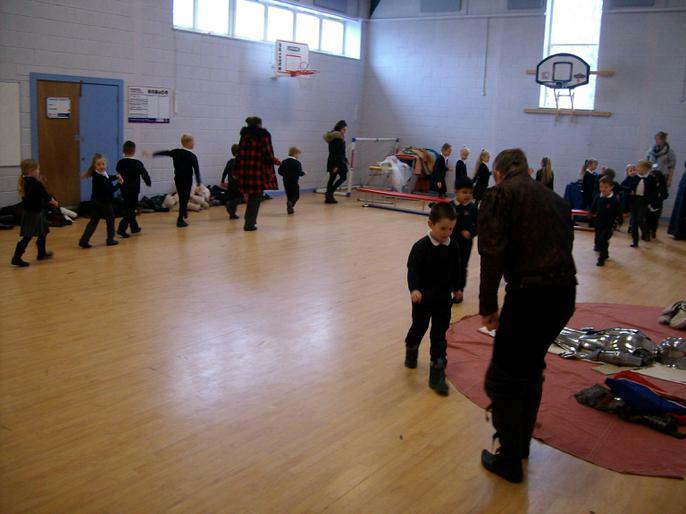 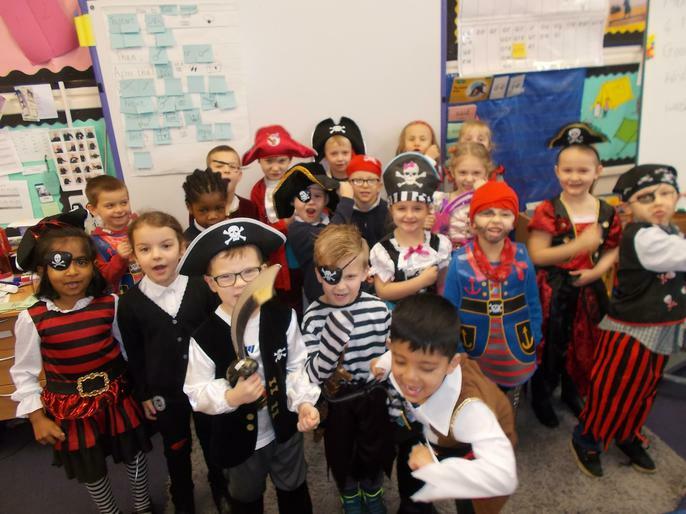 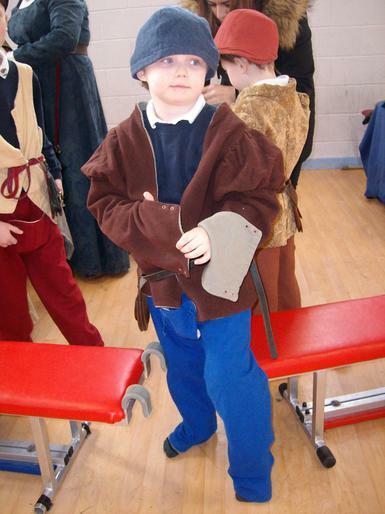 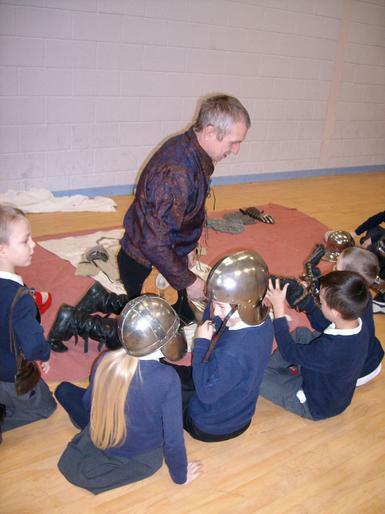 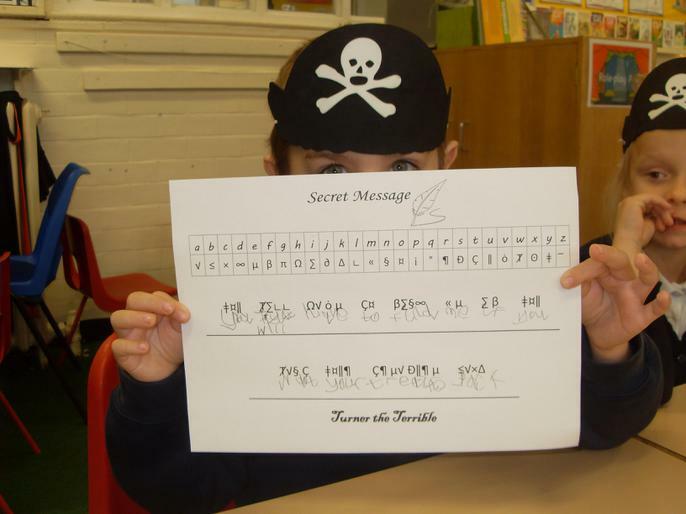 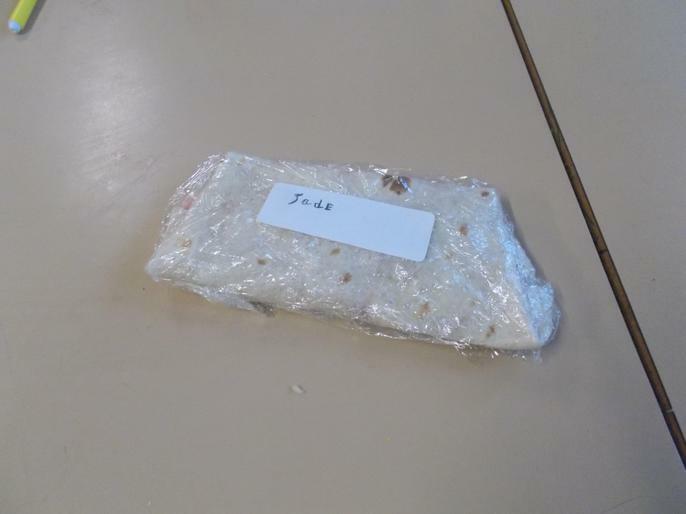 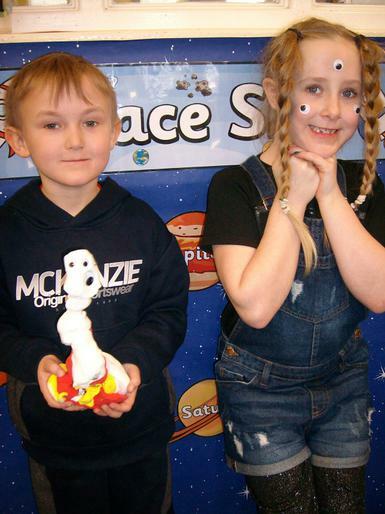 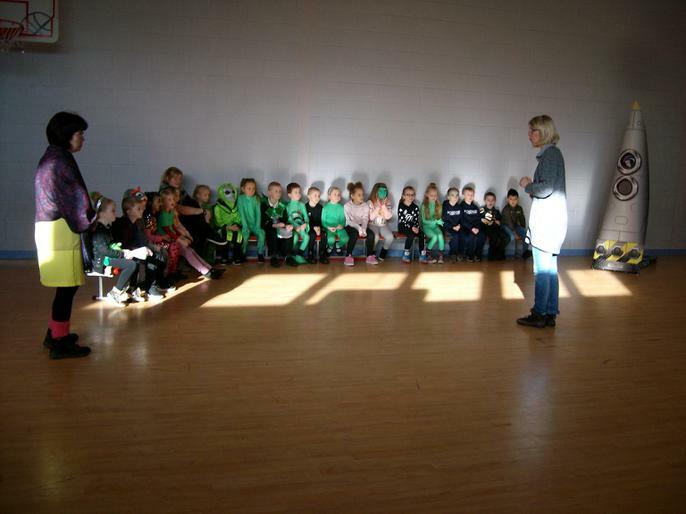 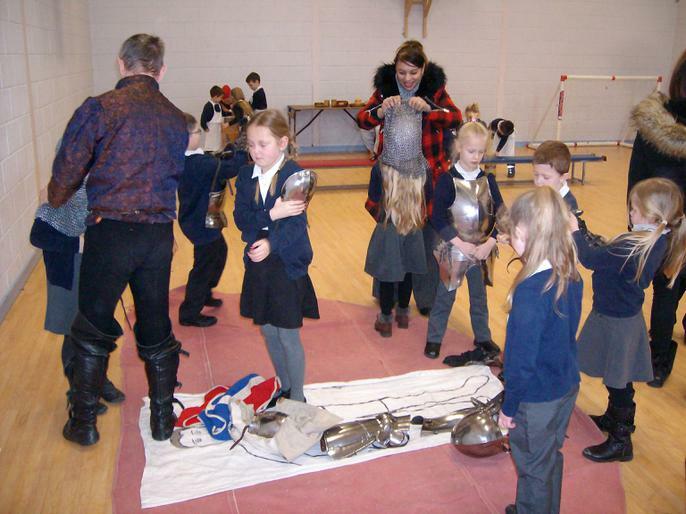 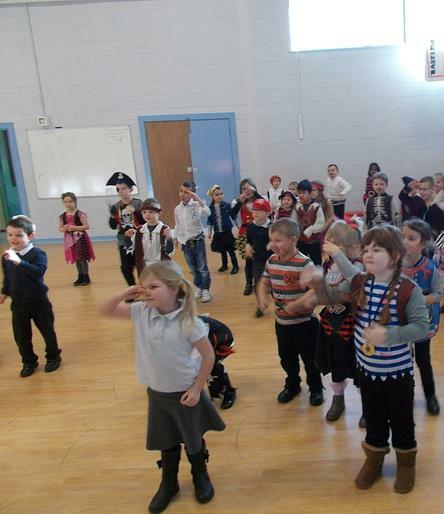 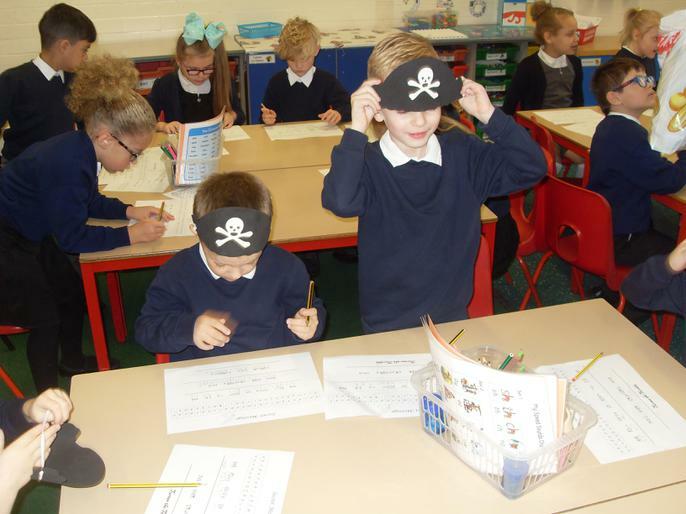 KS1 PIRATE FANTASTIC FINISH - Pirate Pete's Party! 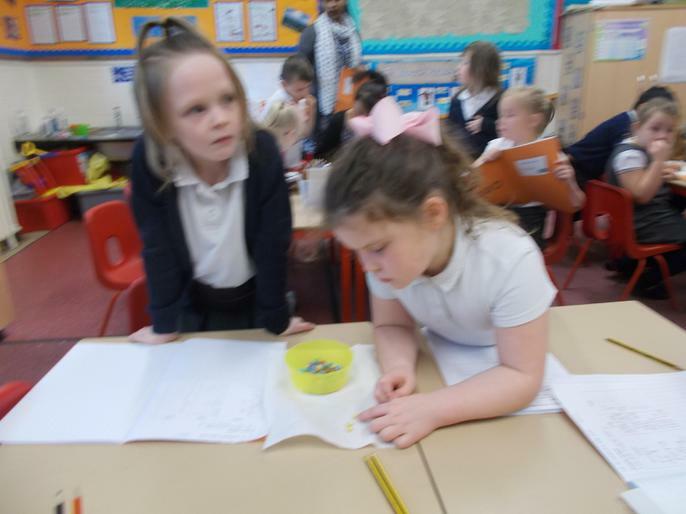 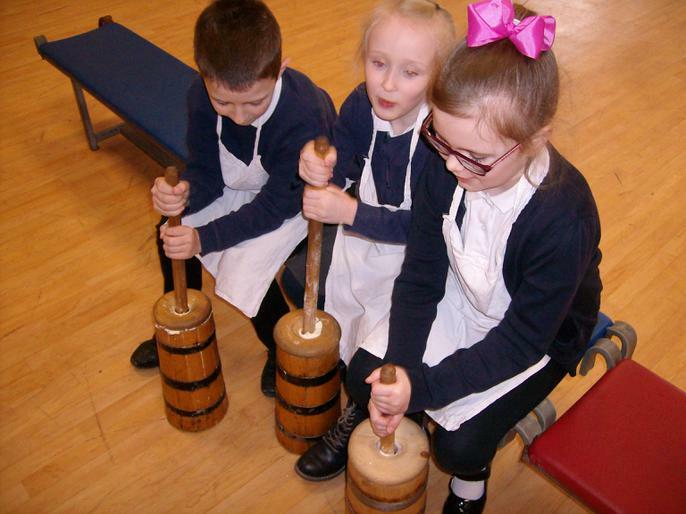 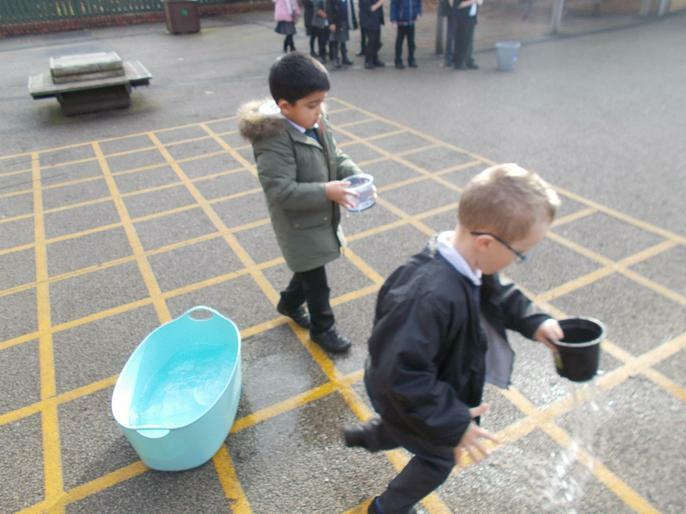 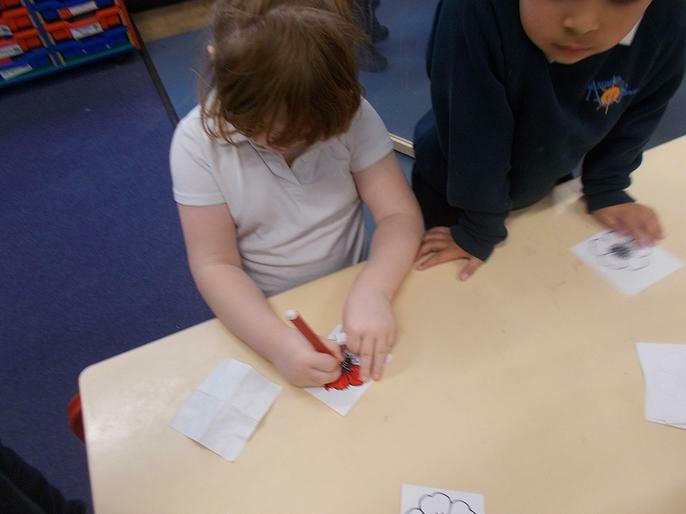 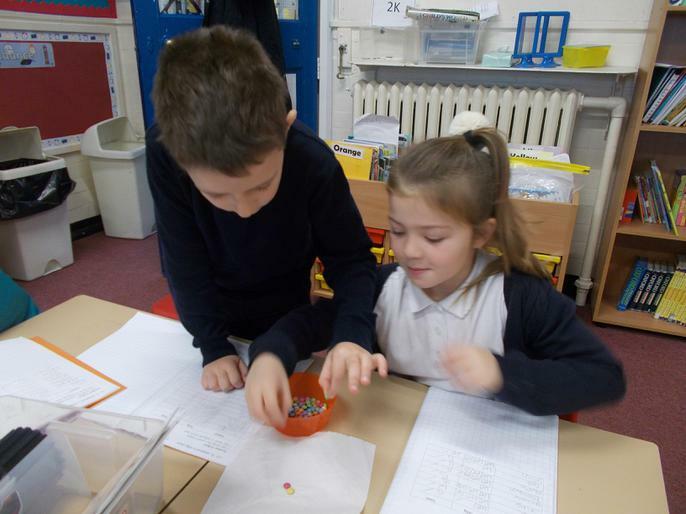 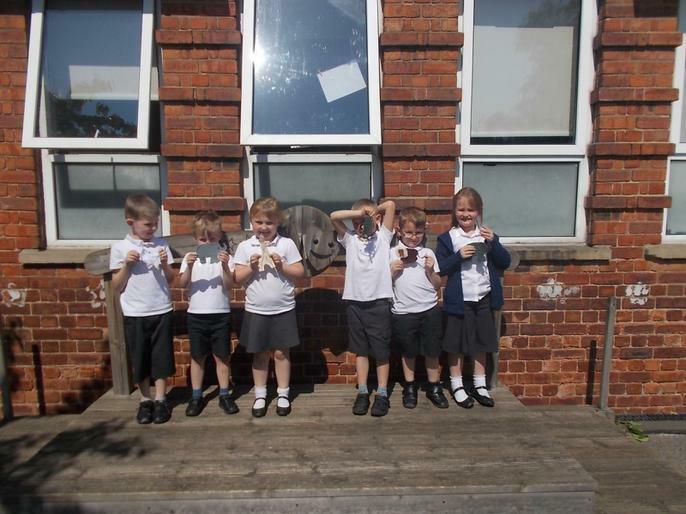 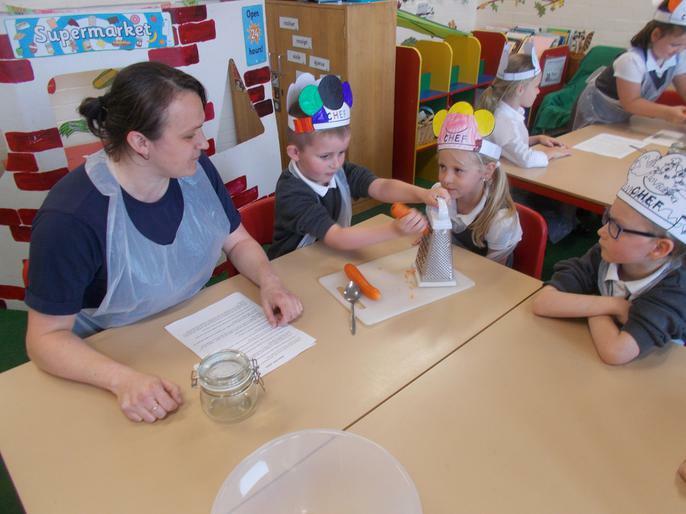 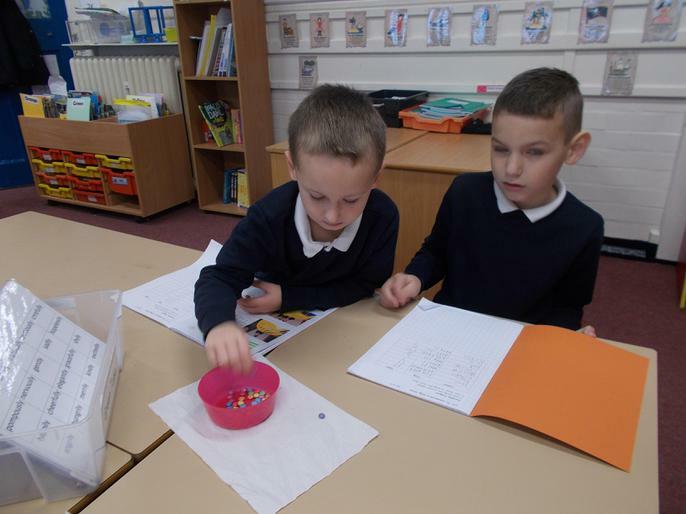 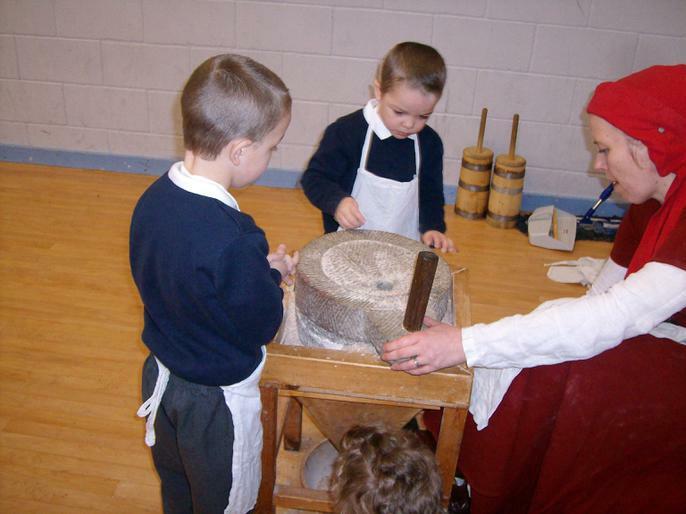 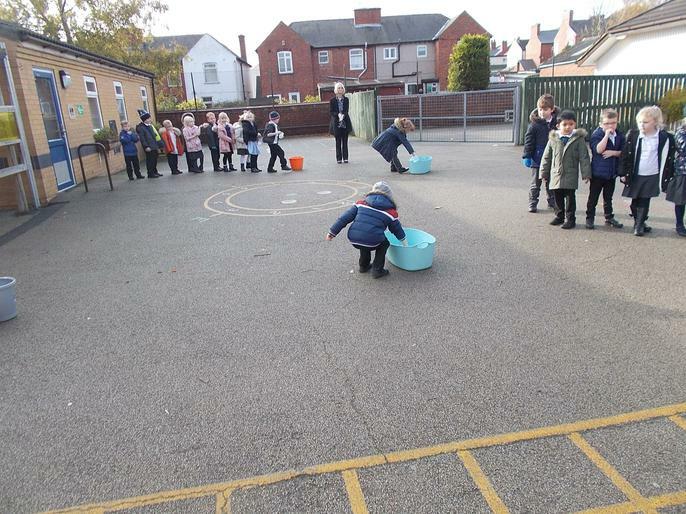 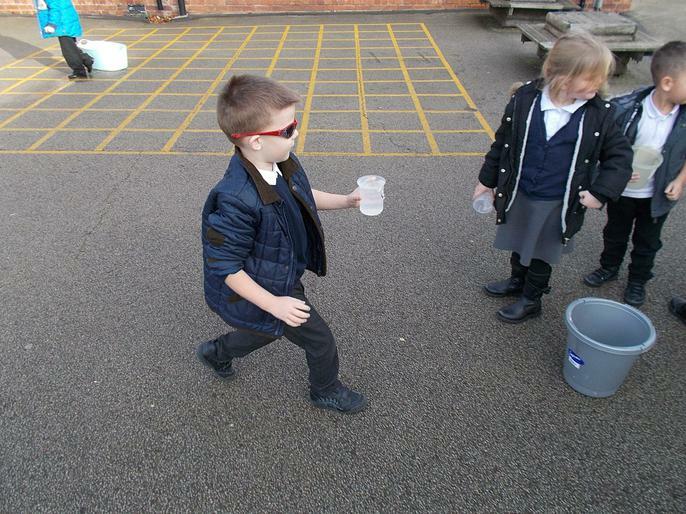 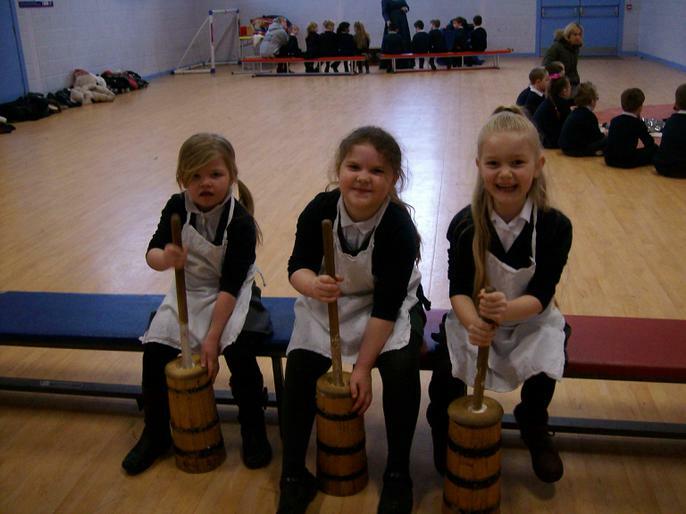 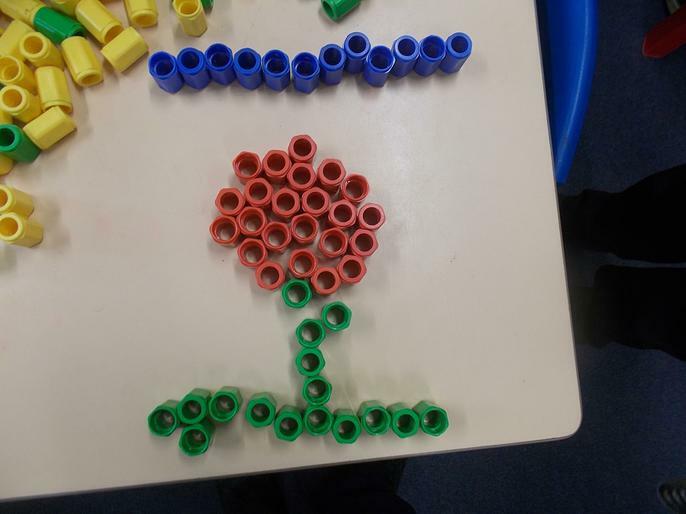 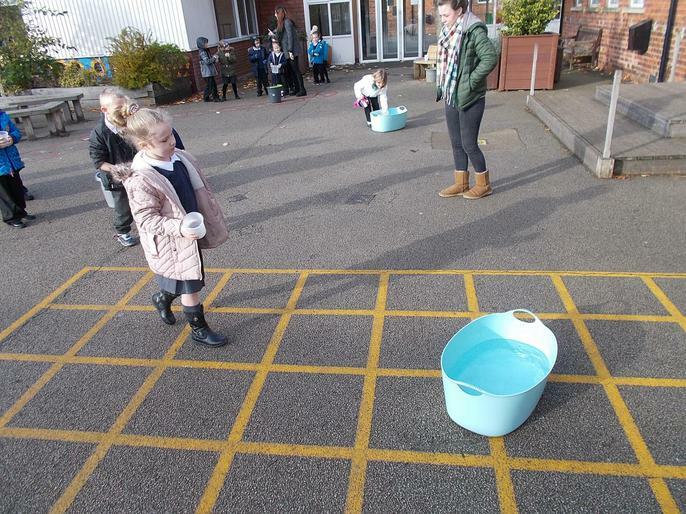 Year 1 began learning about capacity by helping the pirates to bail water out using different containers. 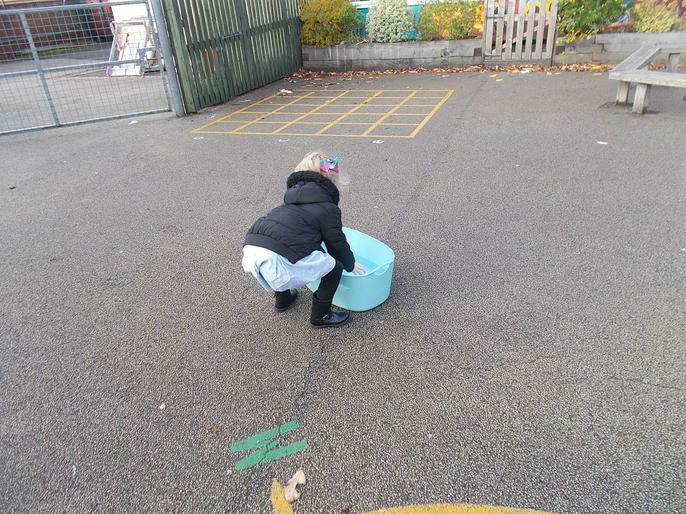 We had a laugh trying to use the plant pot with holes in! 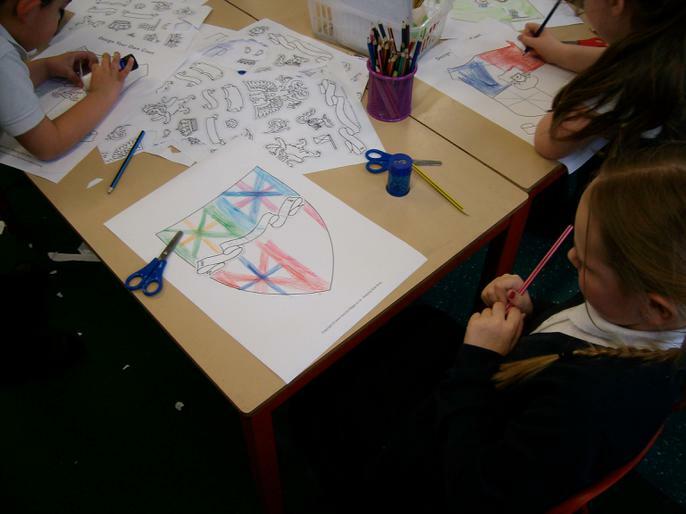 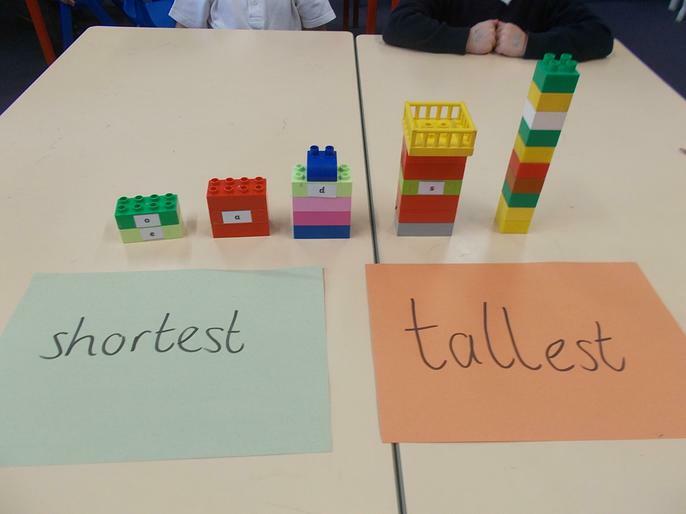 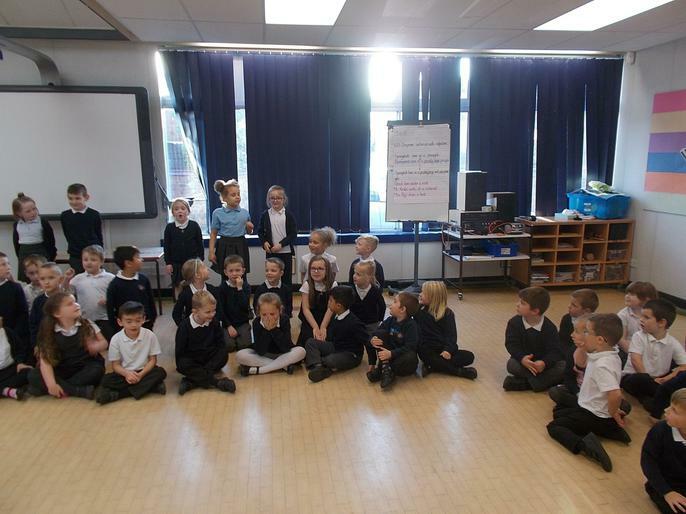 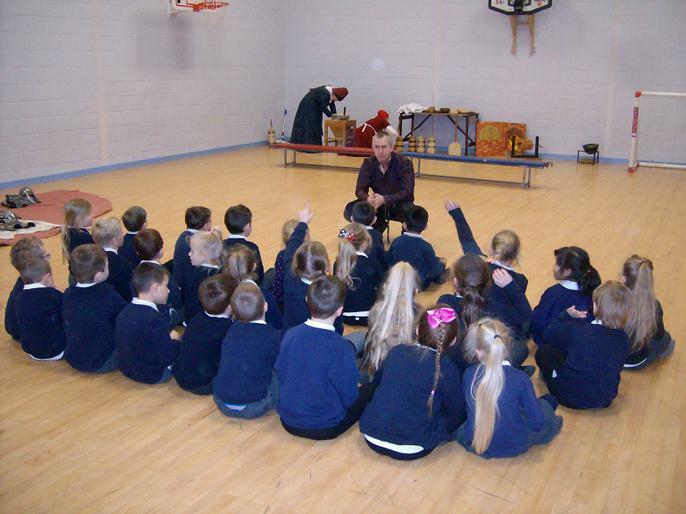 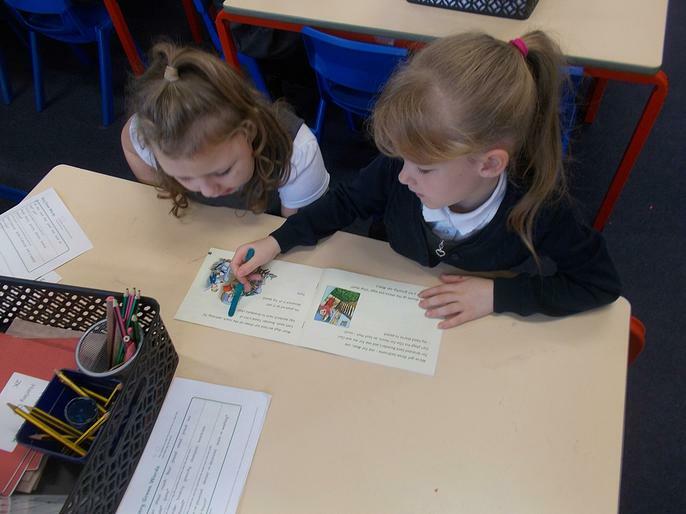 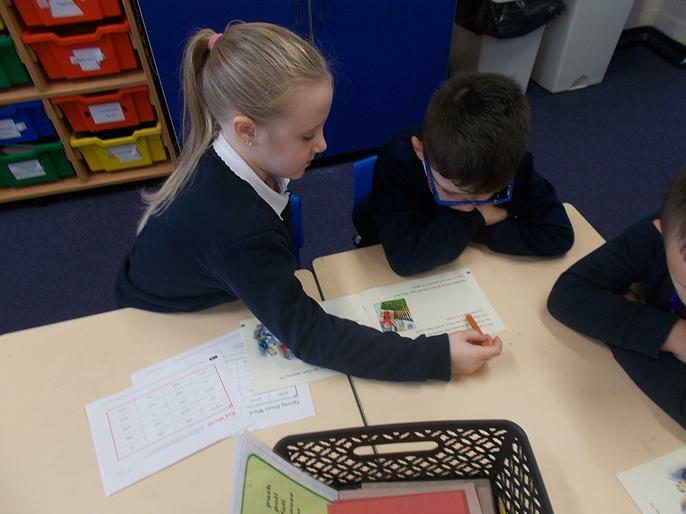 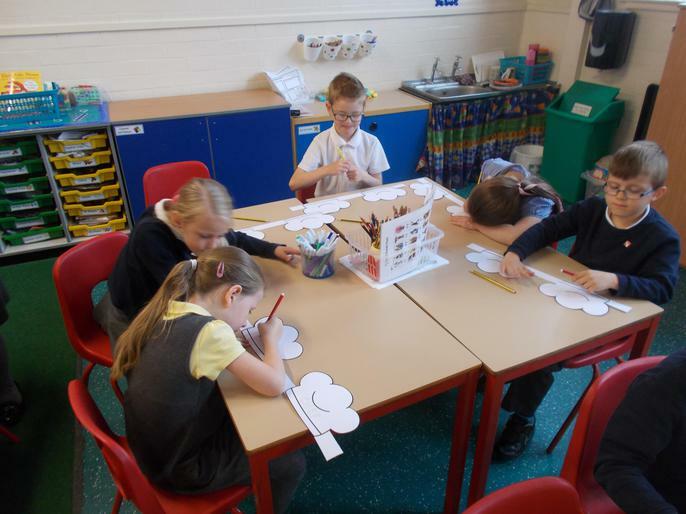 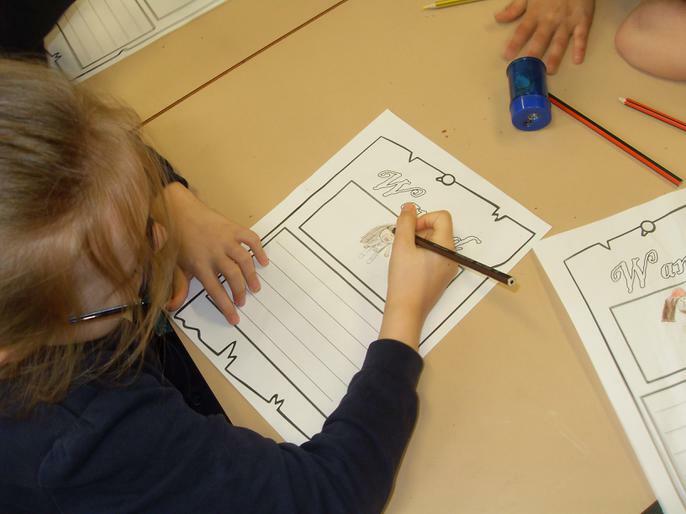 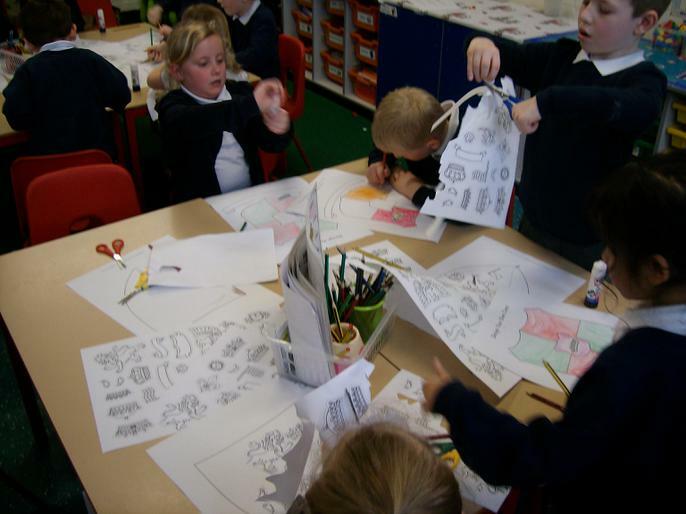 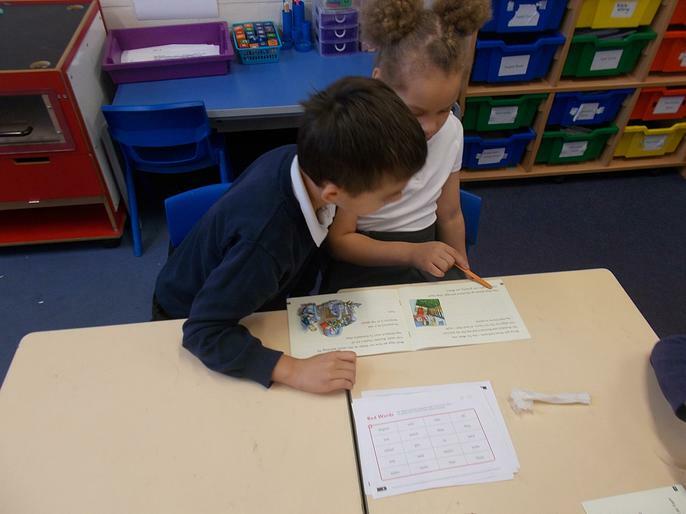 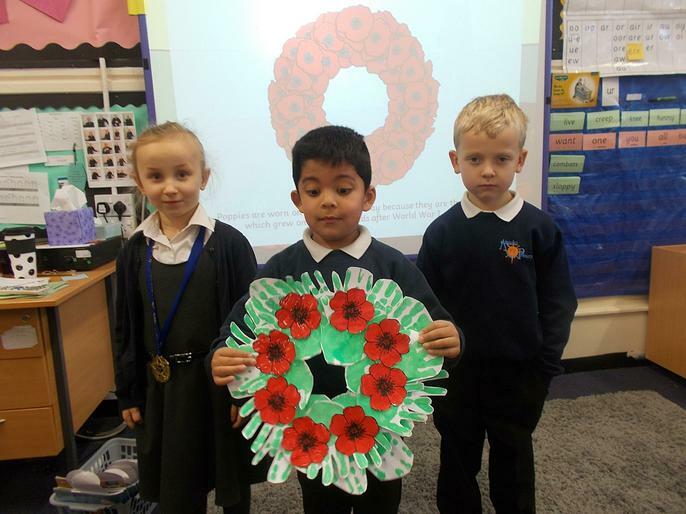 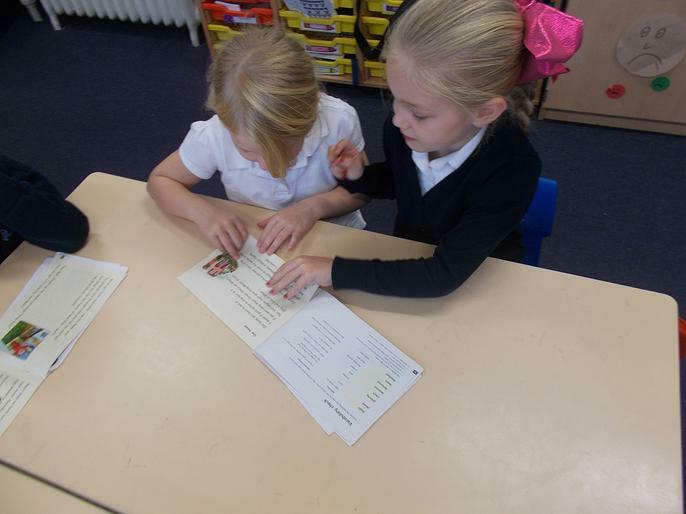 Year 1 and 2 children in Mr Barber's Read Write Inc group have started reading a new book today 'Our House'. 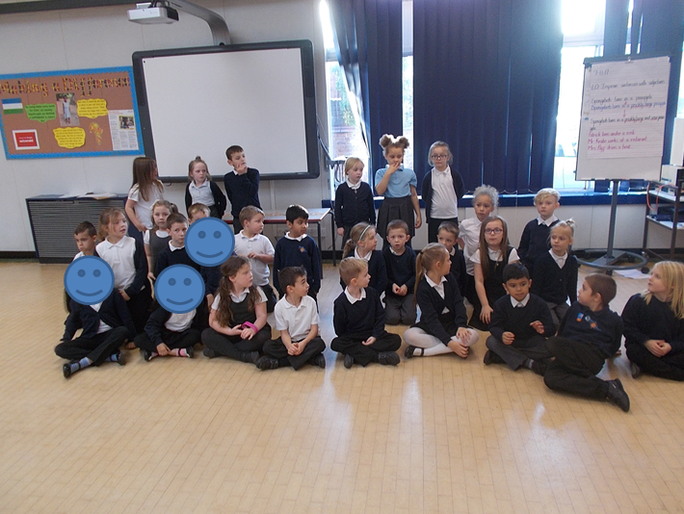 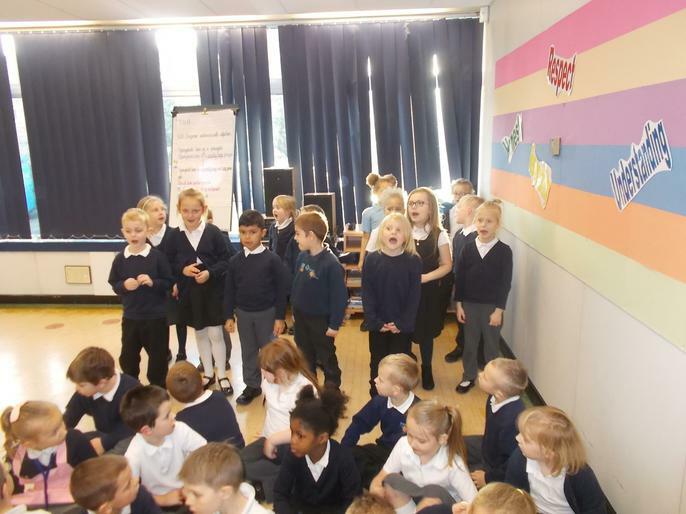 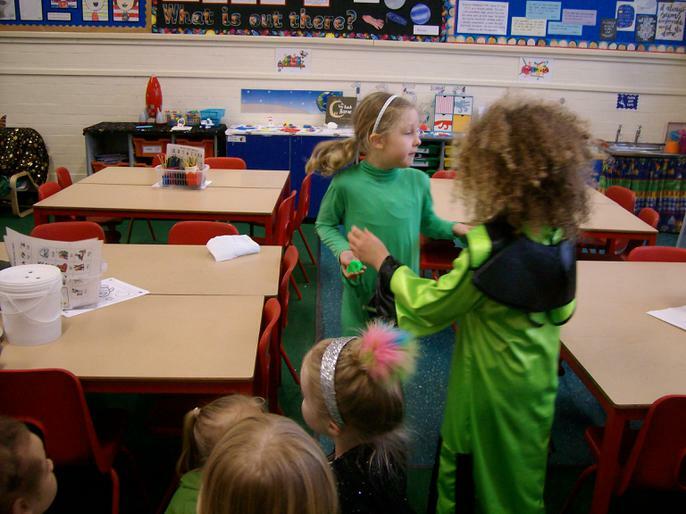 The children loved reading about the chaotic house and enjoyed talking to each other about their own houses. 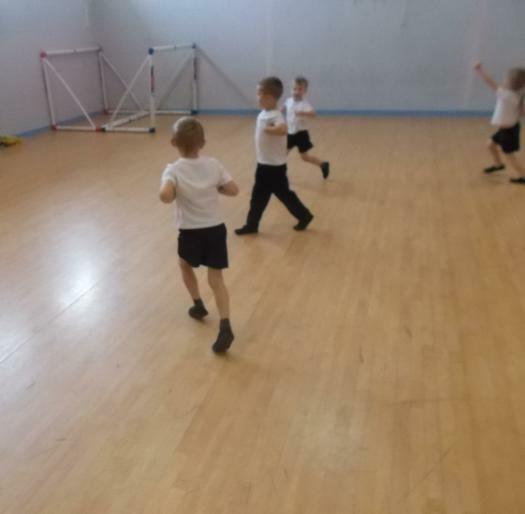 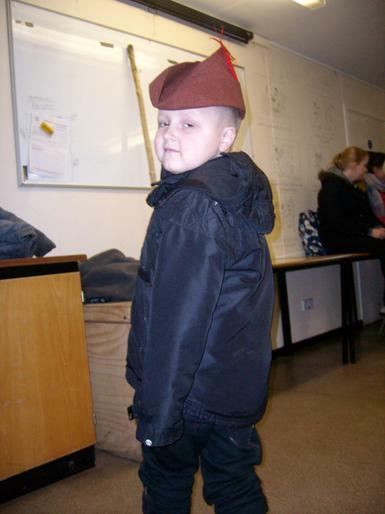 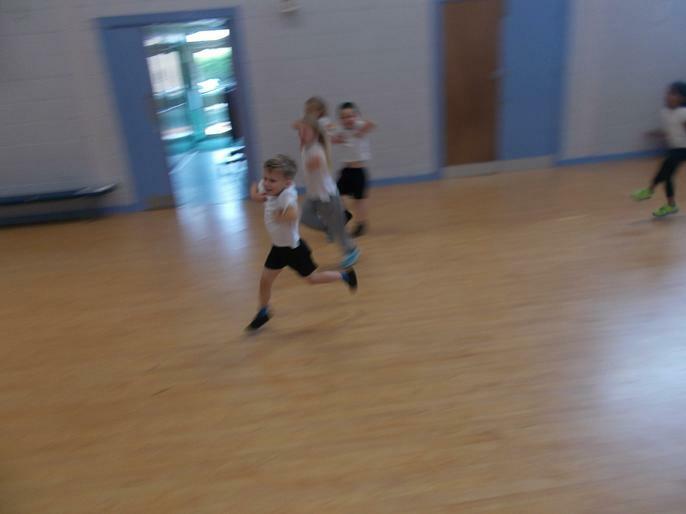 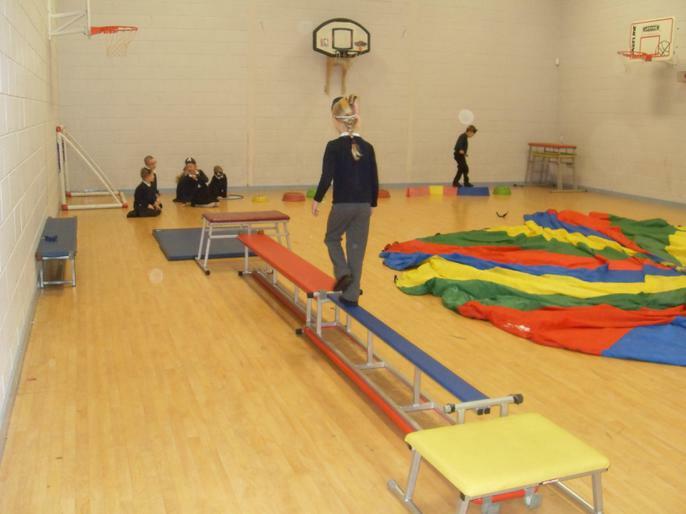 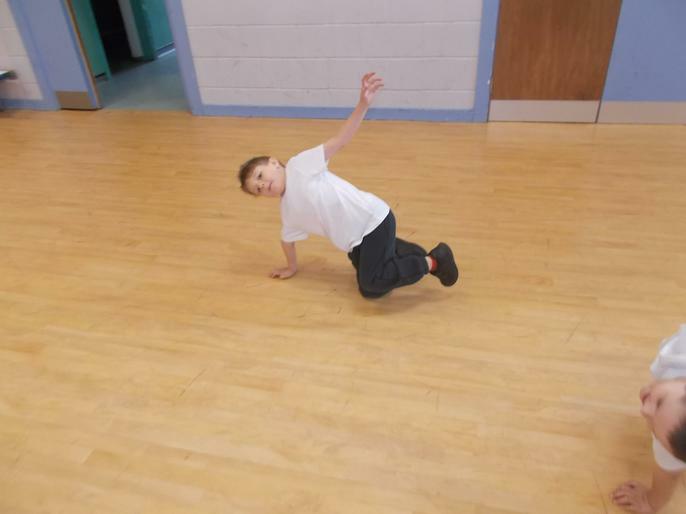 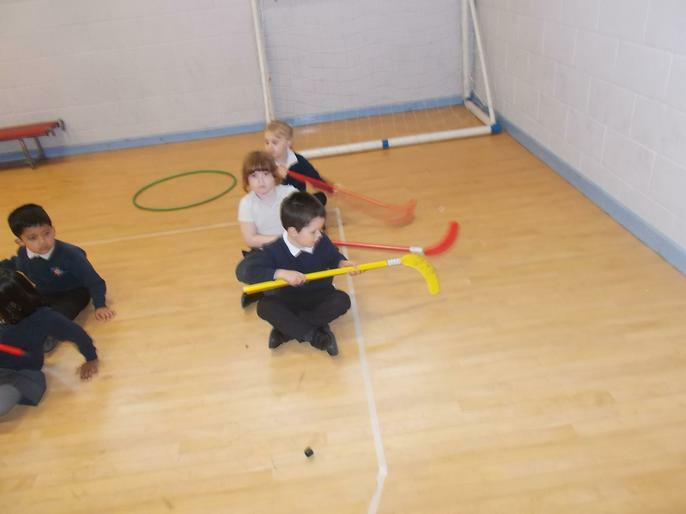 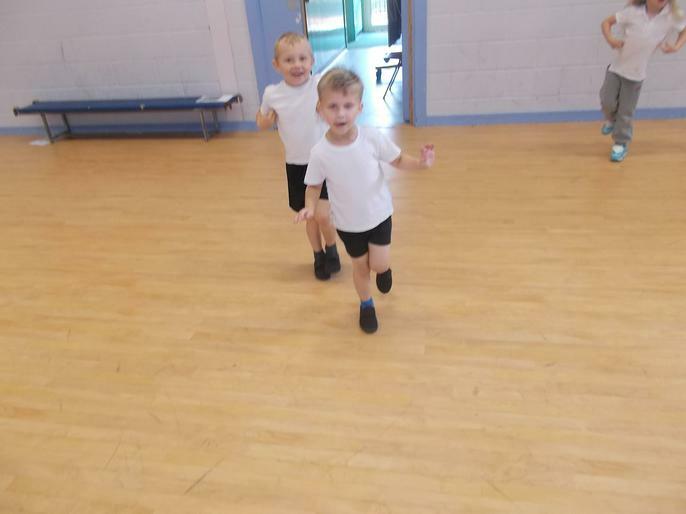 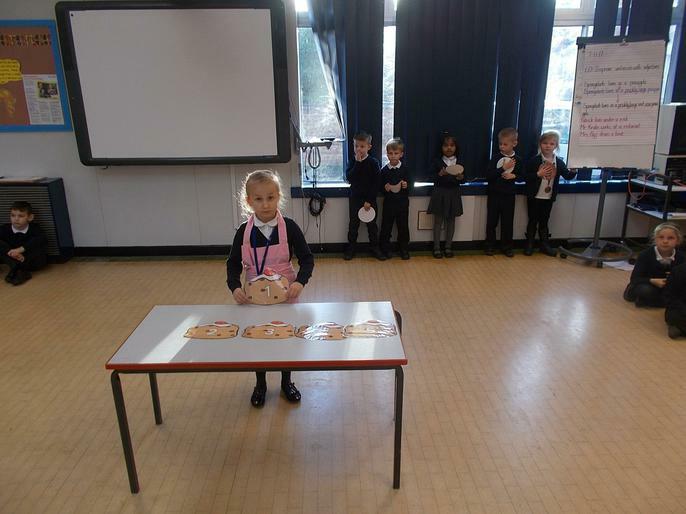 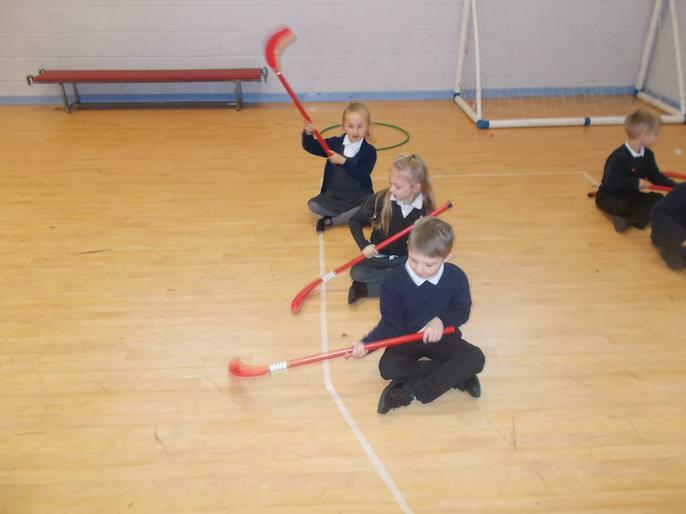 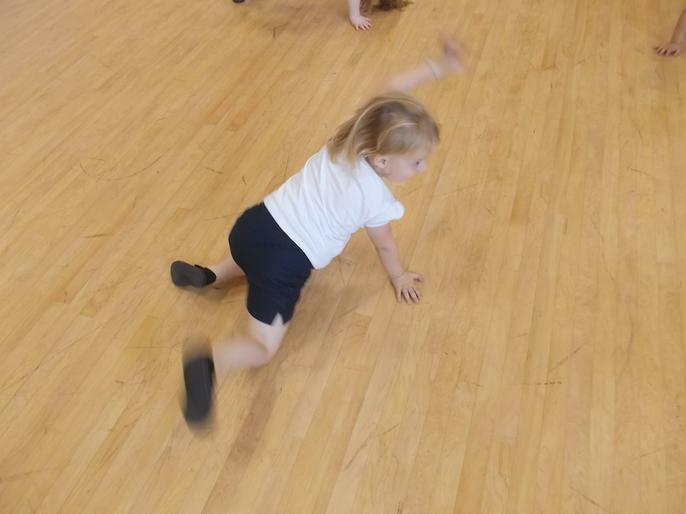 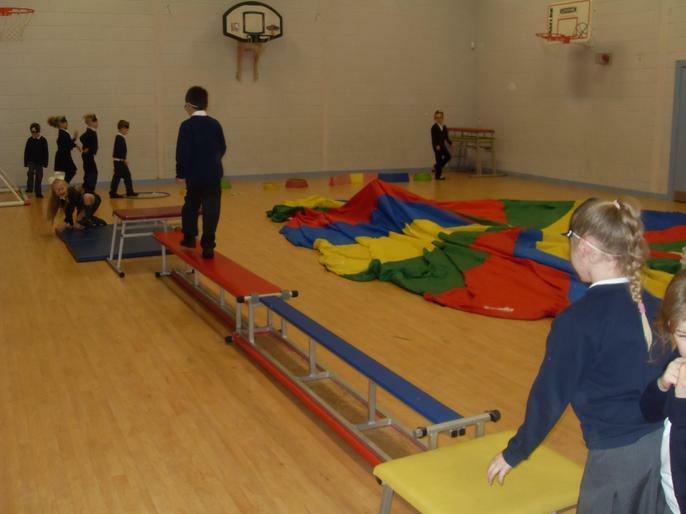 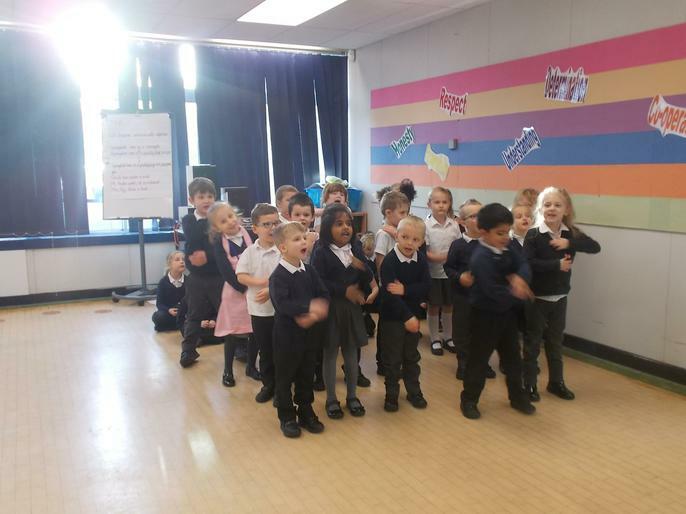 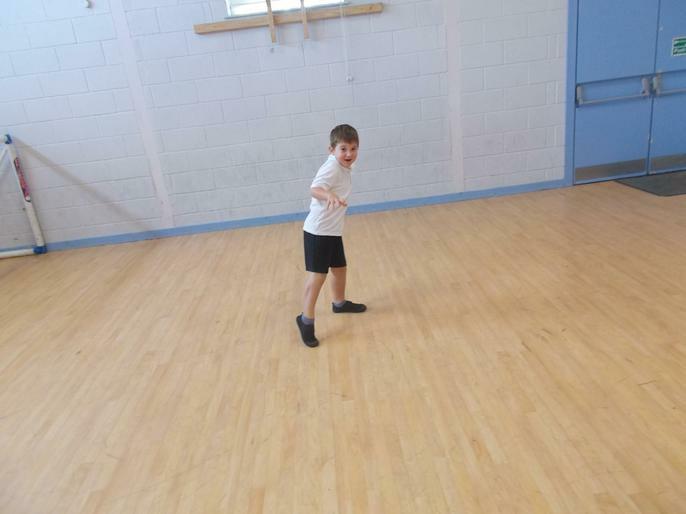 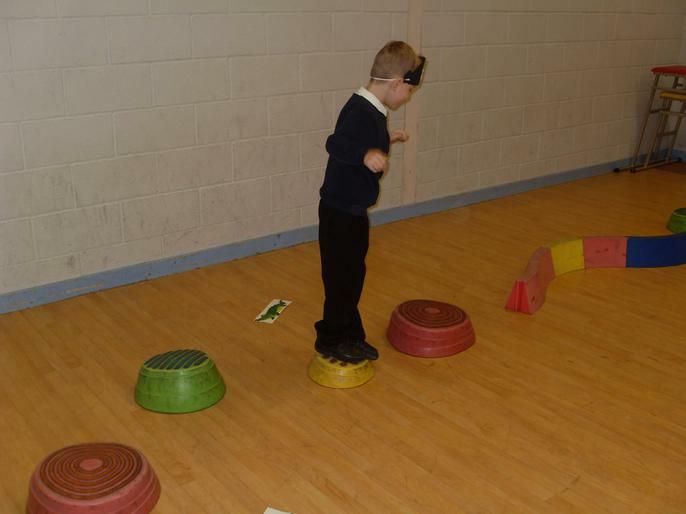 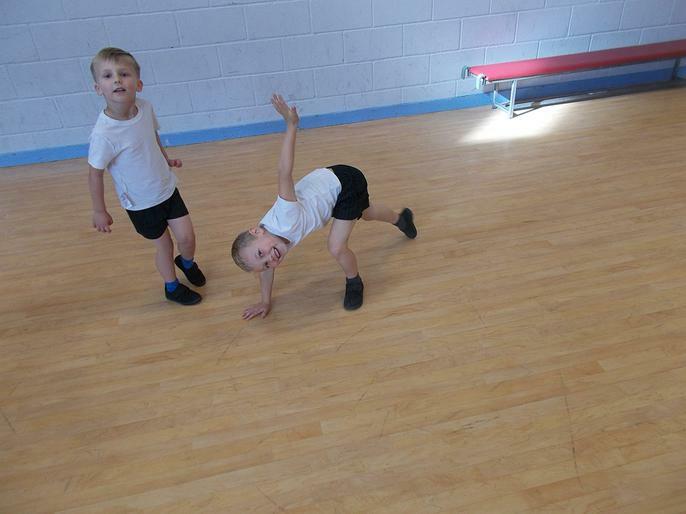 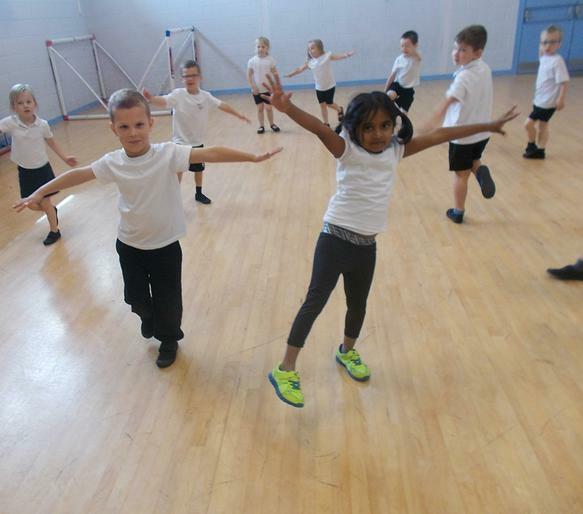 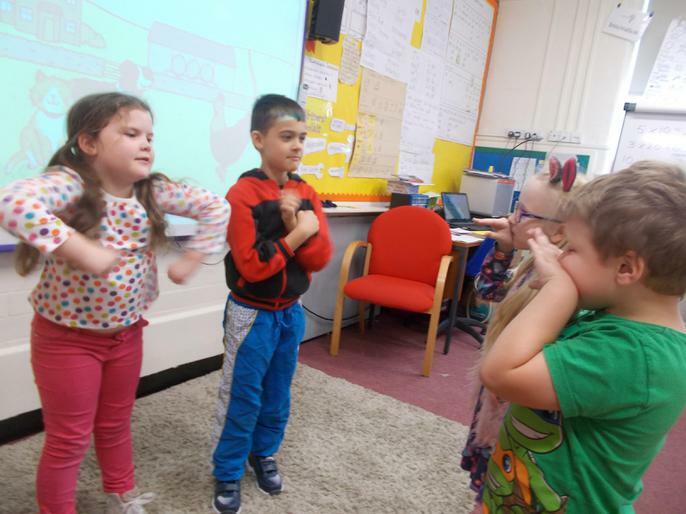 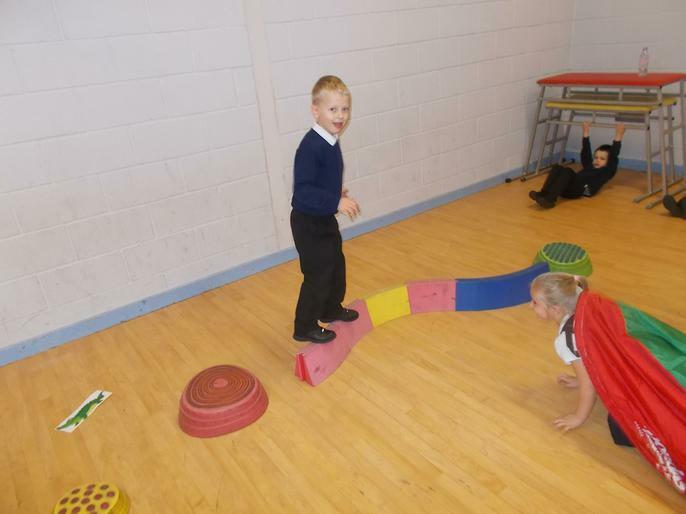 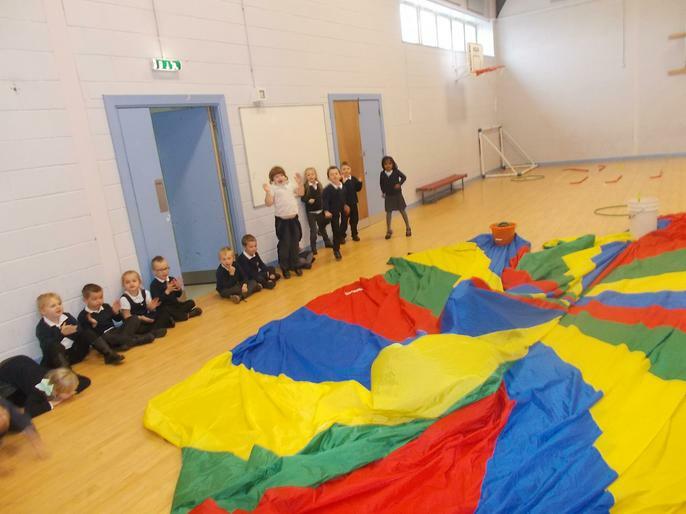 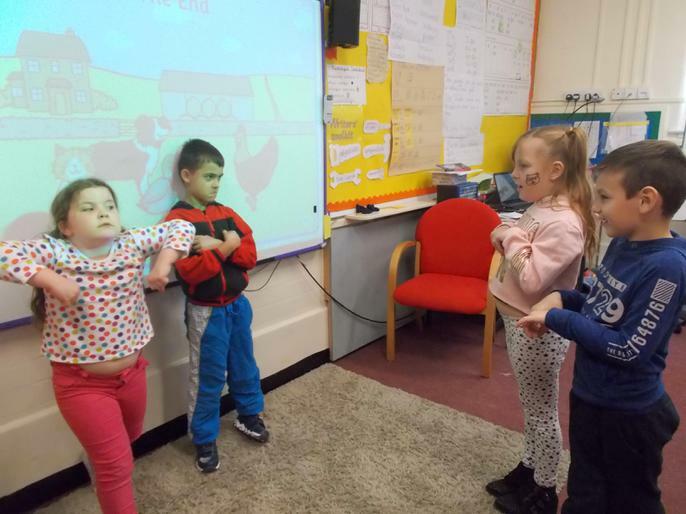 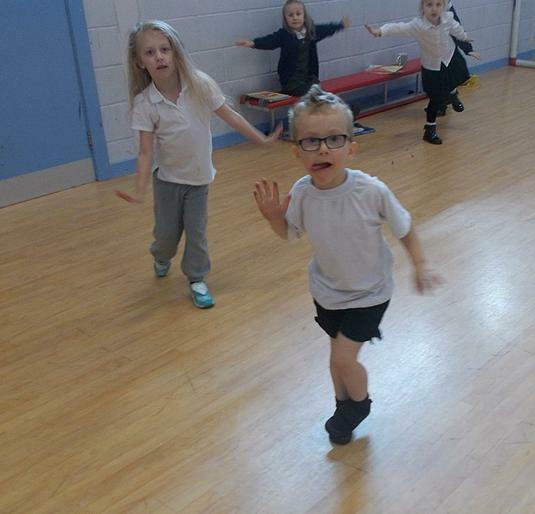 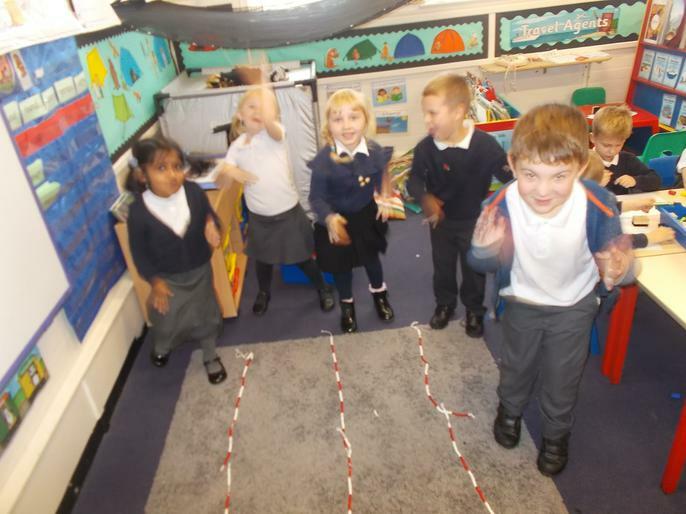 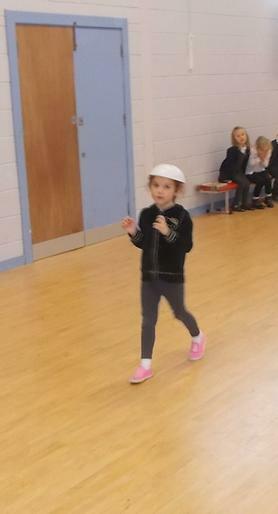 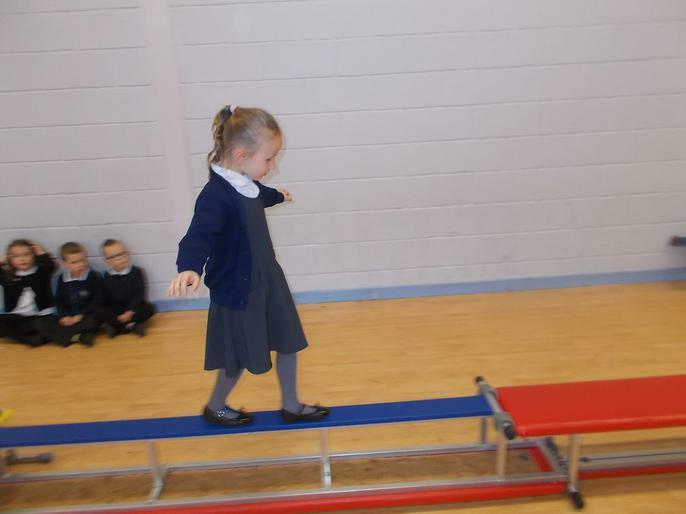 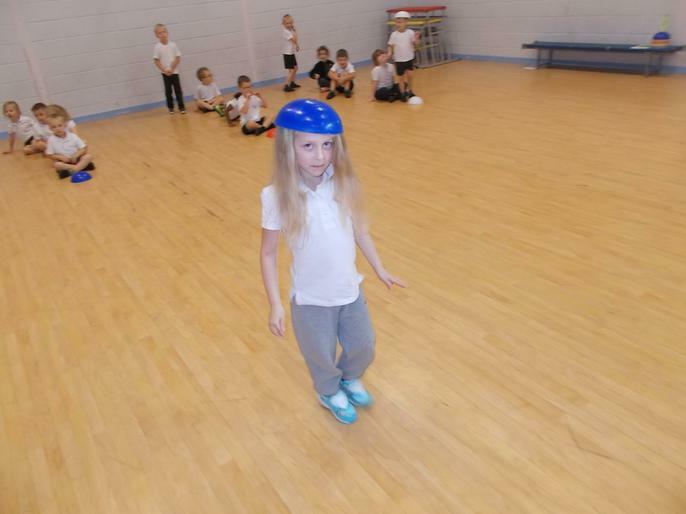 Class 1B have been learning how to balance whilst moving like jungle animals. 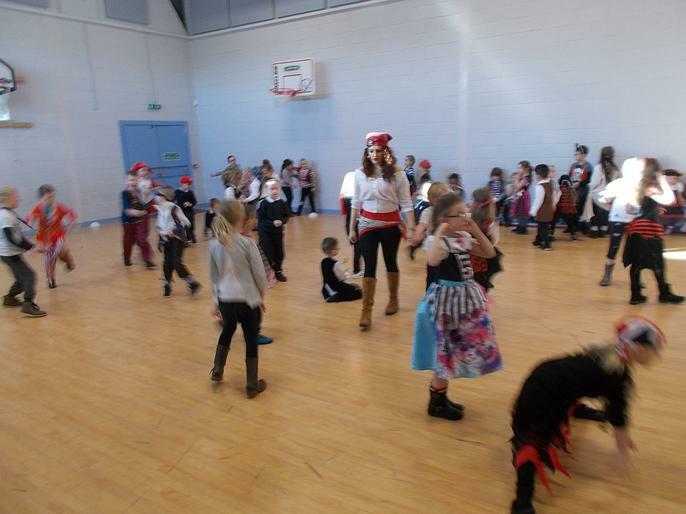 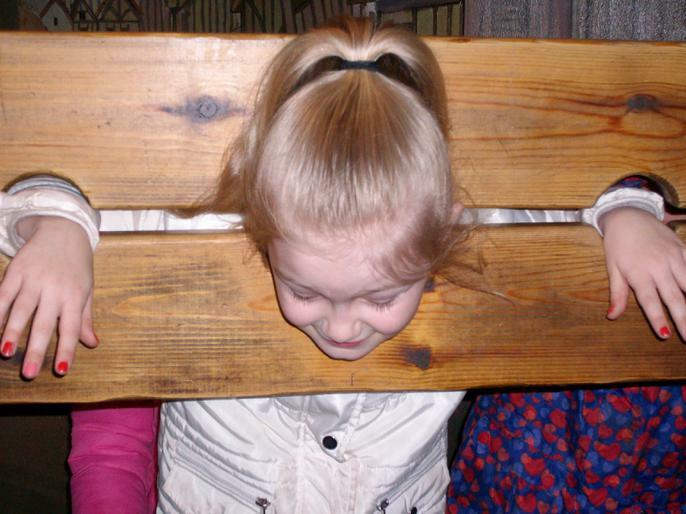 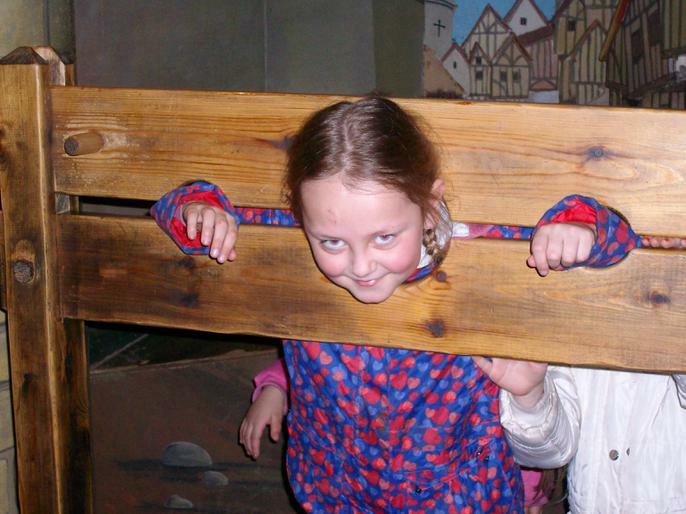 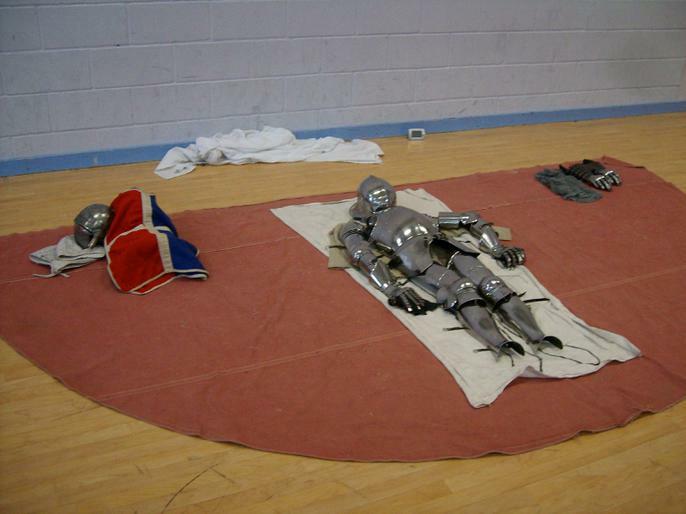 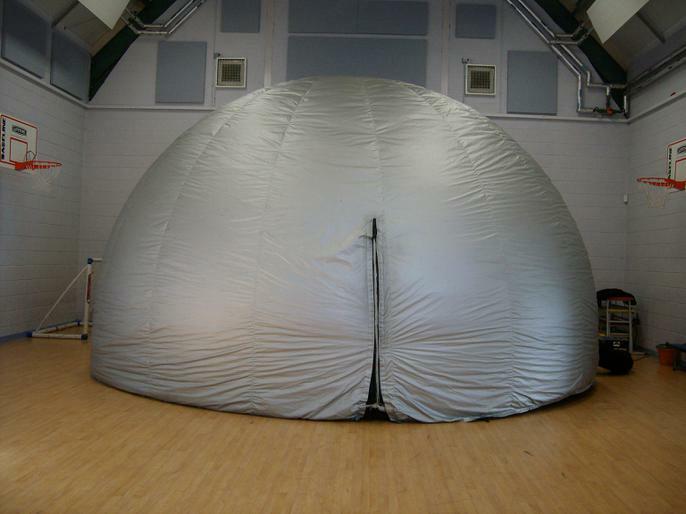 It was brilliant fun! 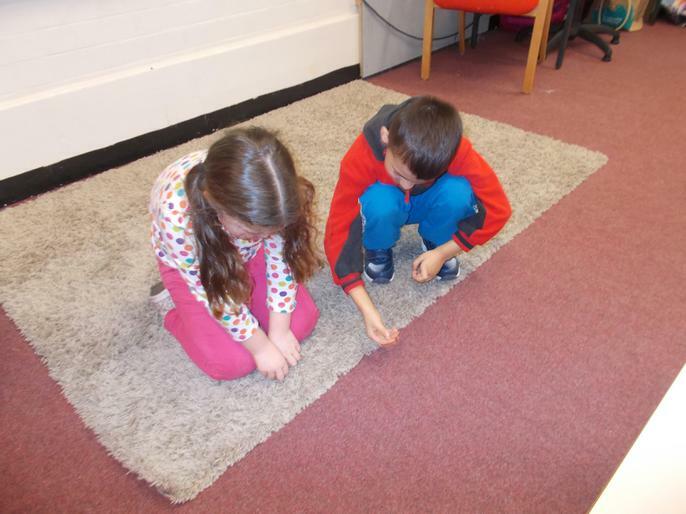 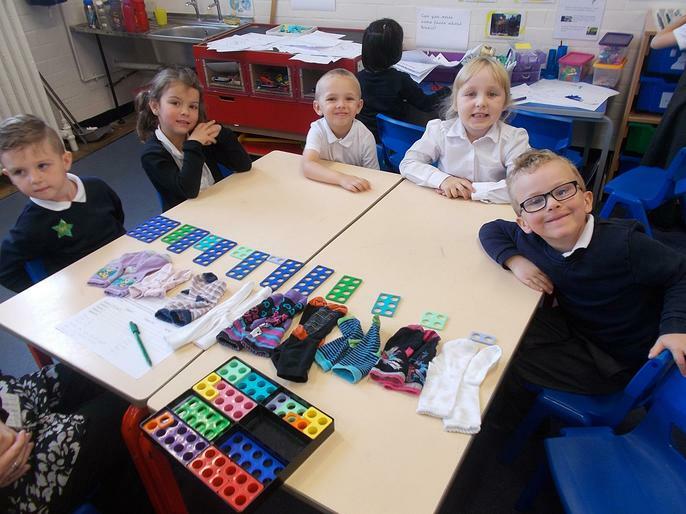 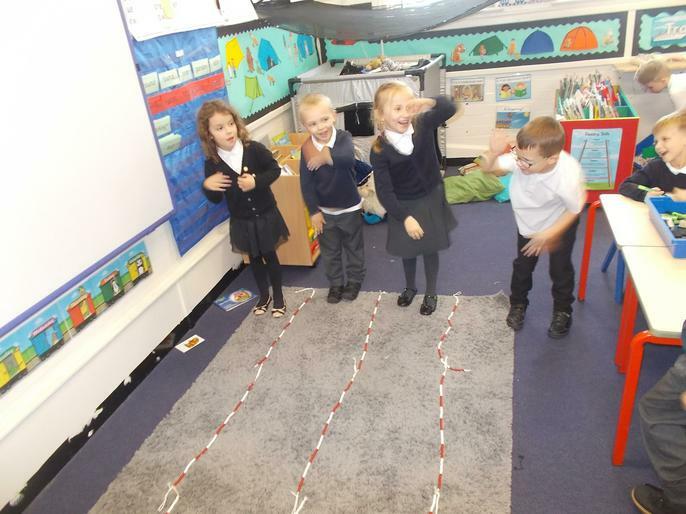 1B have been having some fun counting in 2s using smelly socks! 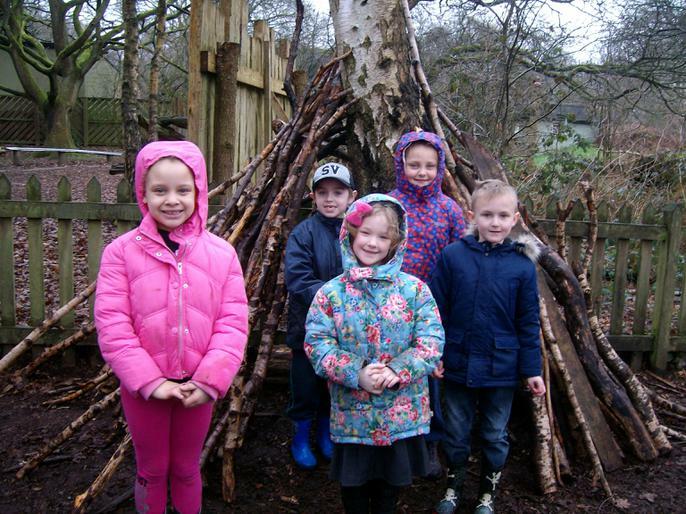 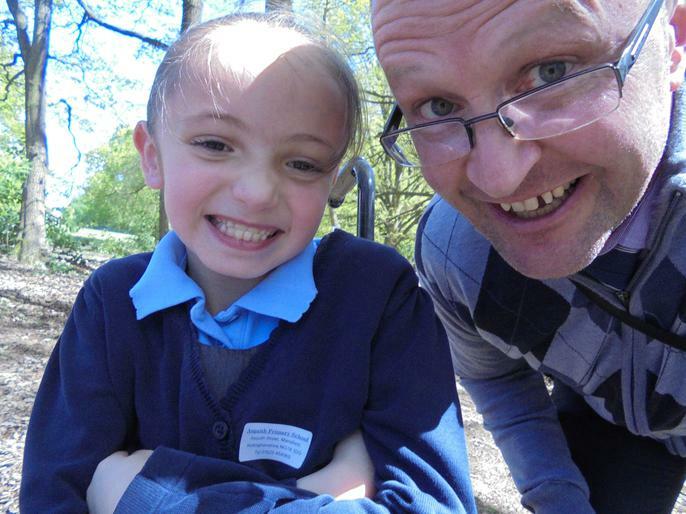 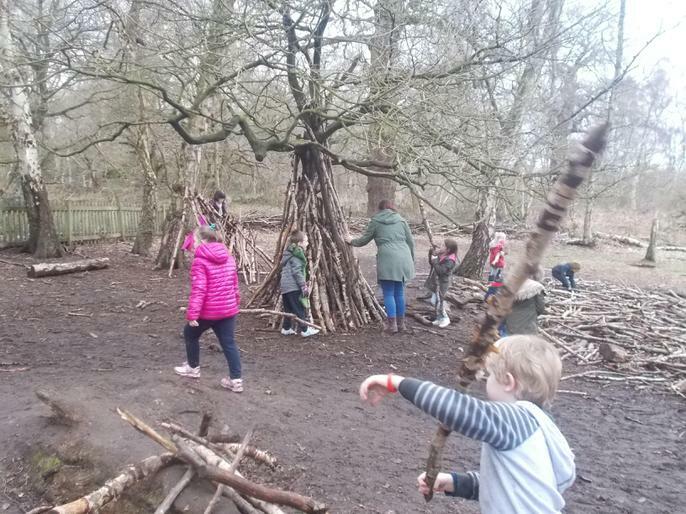 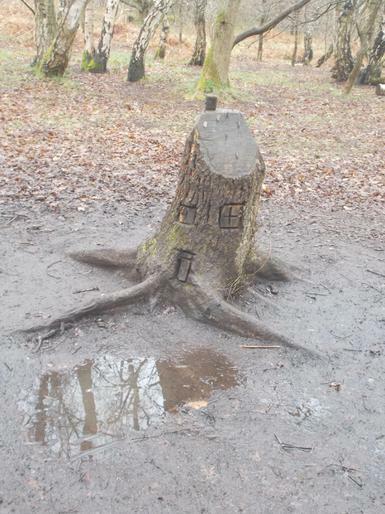 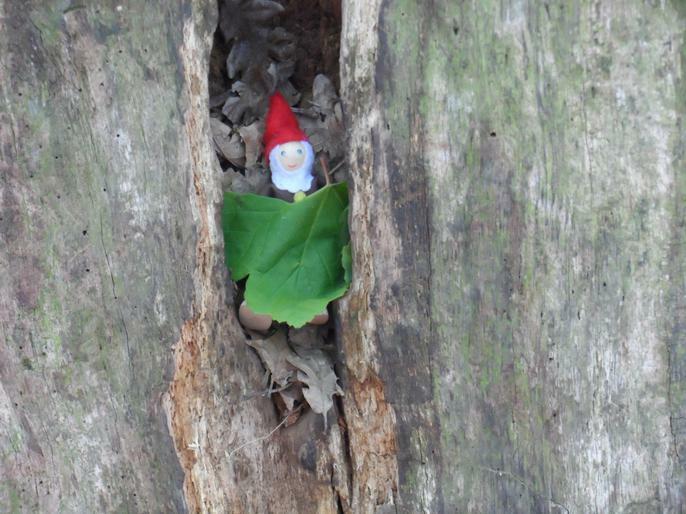 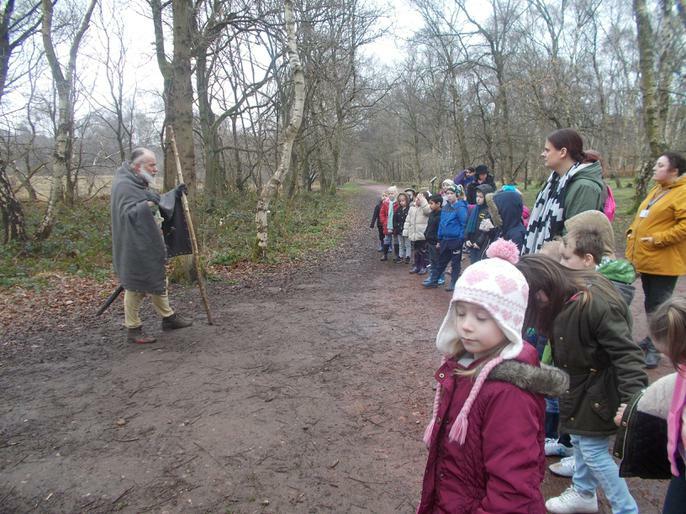 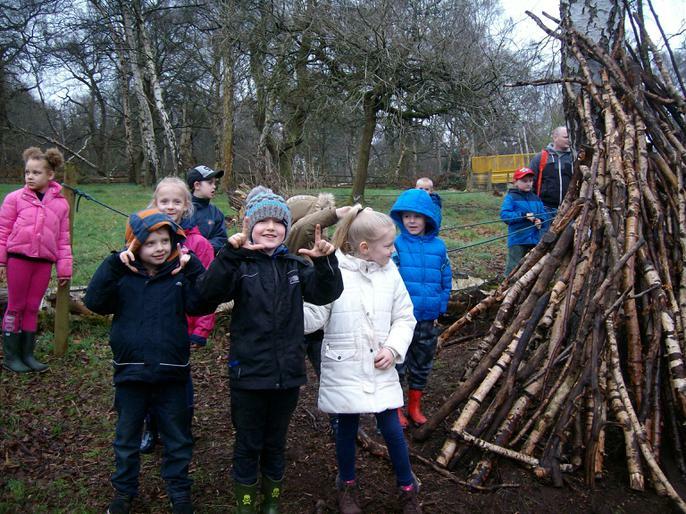 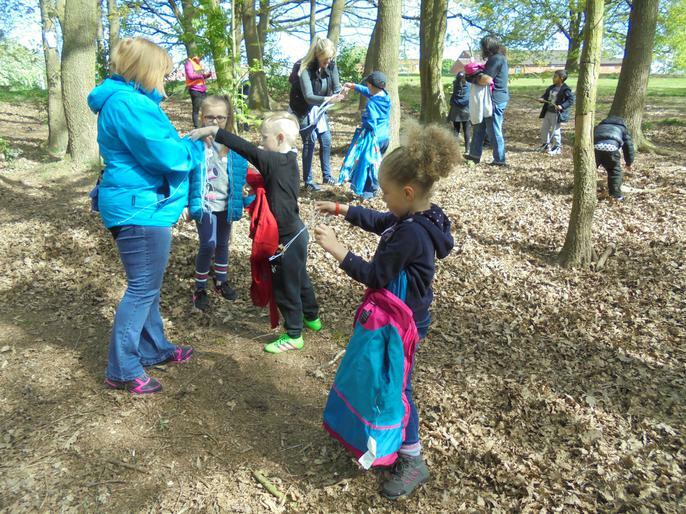 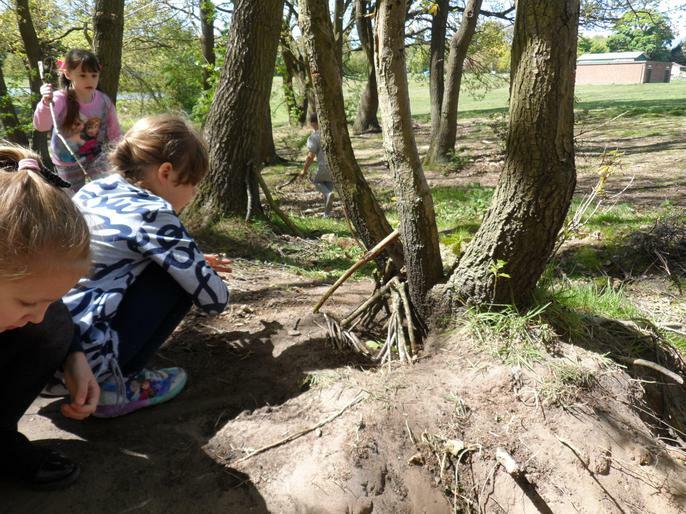 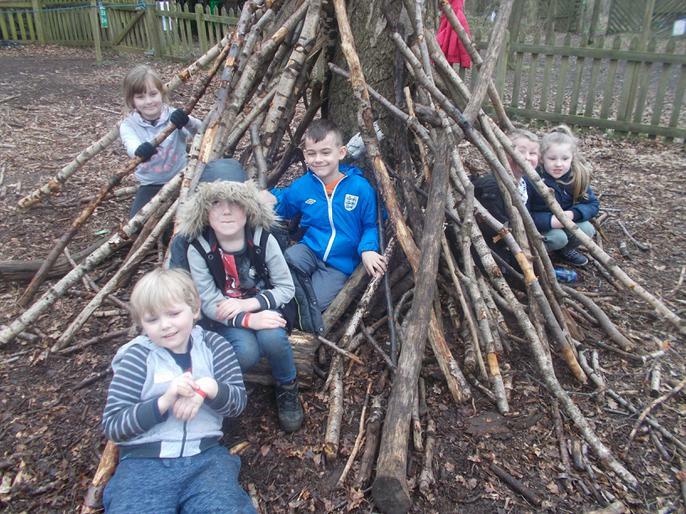 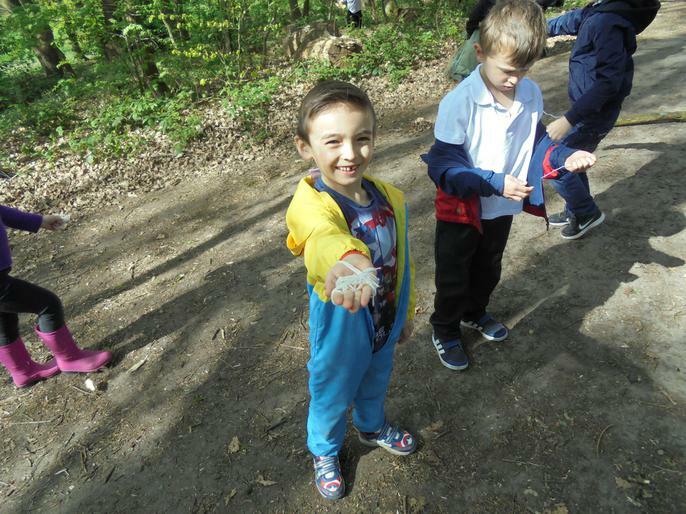 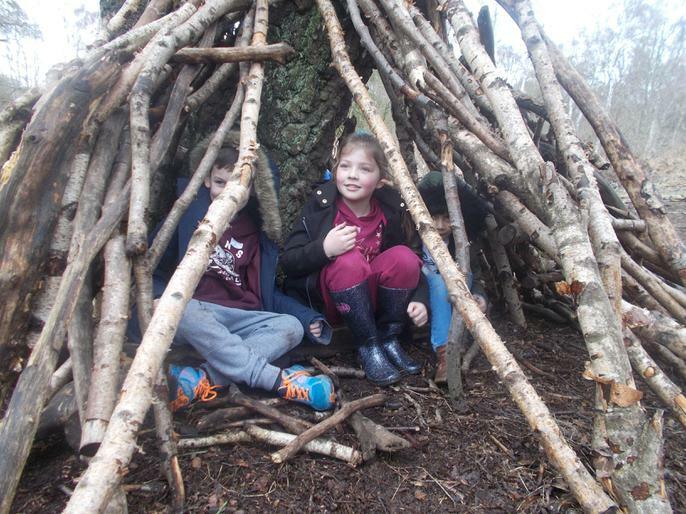 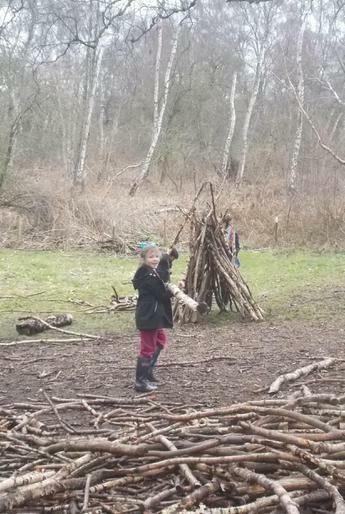 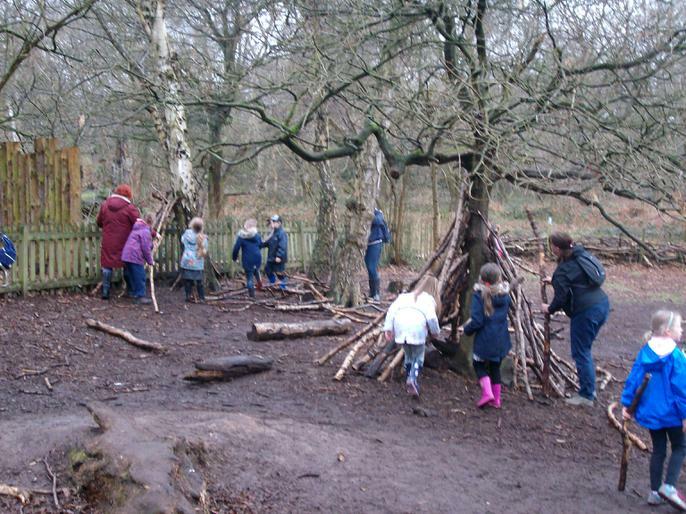 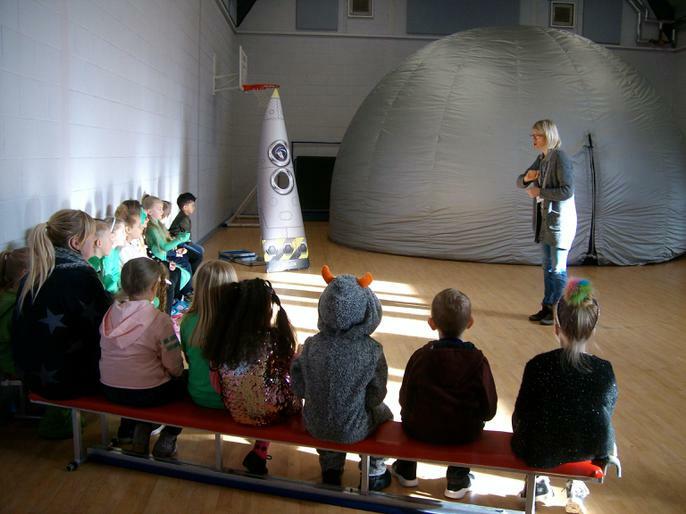 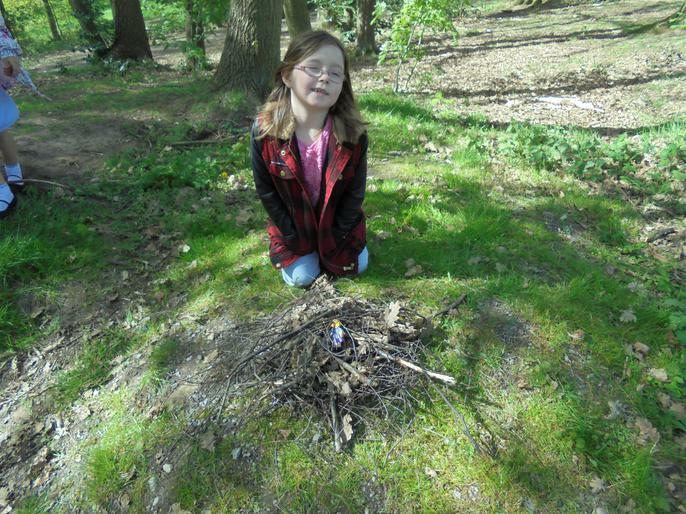 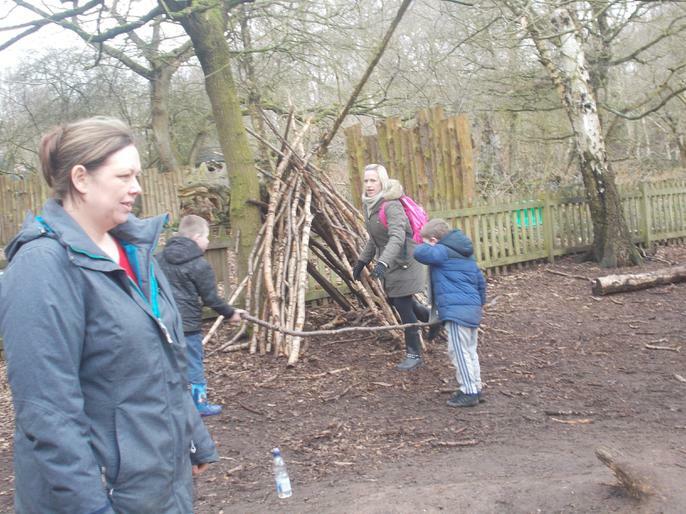 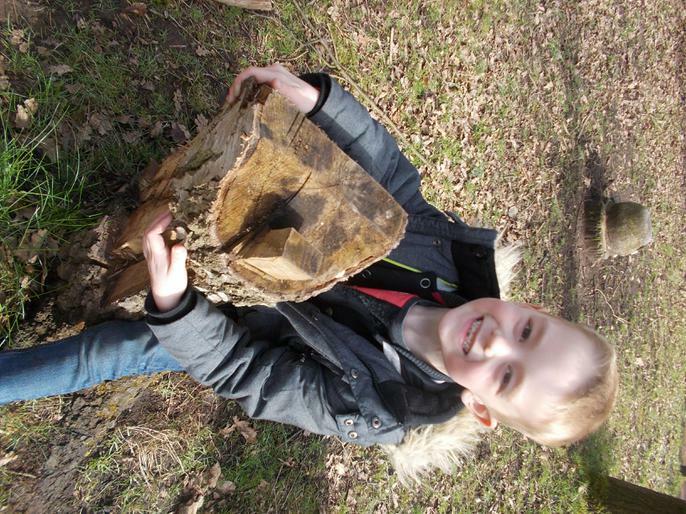 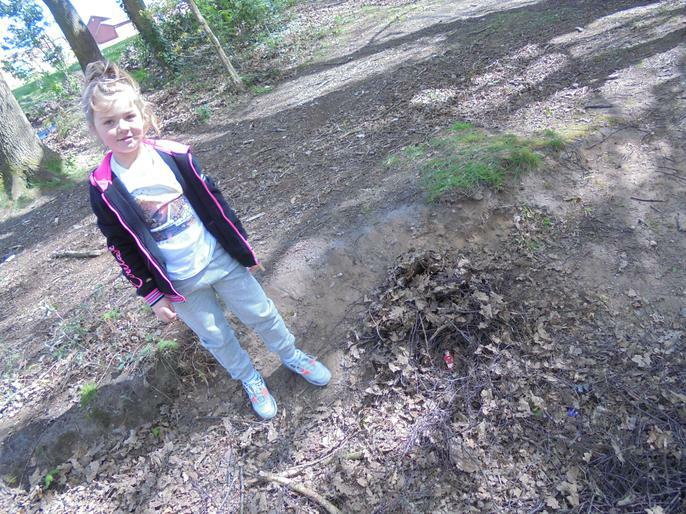 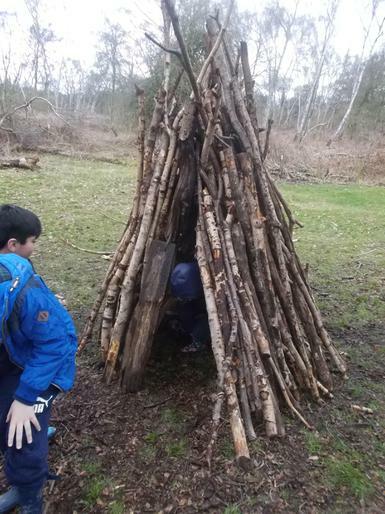 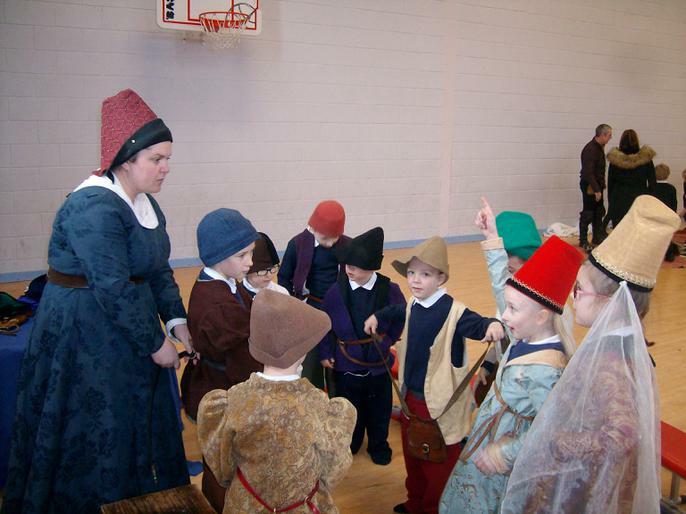 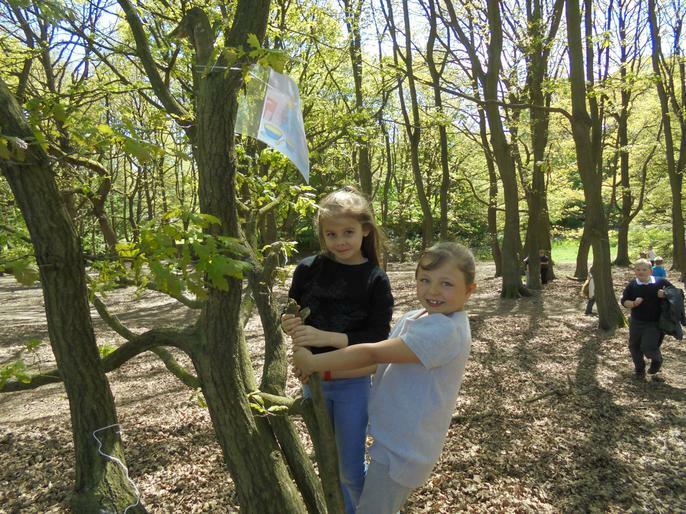 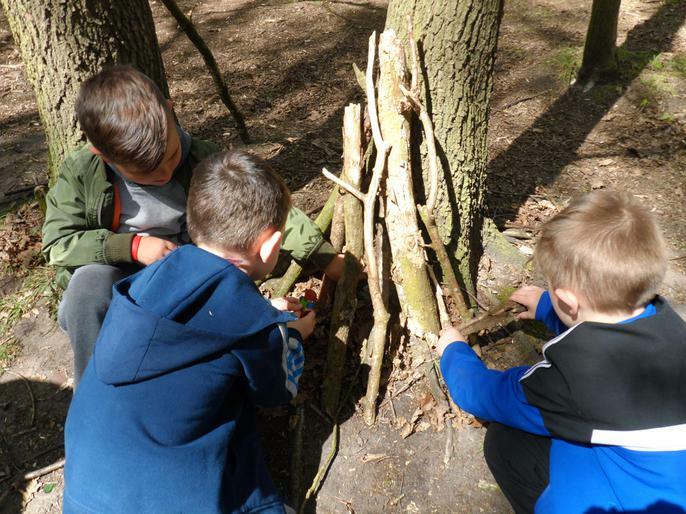 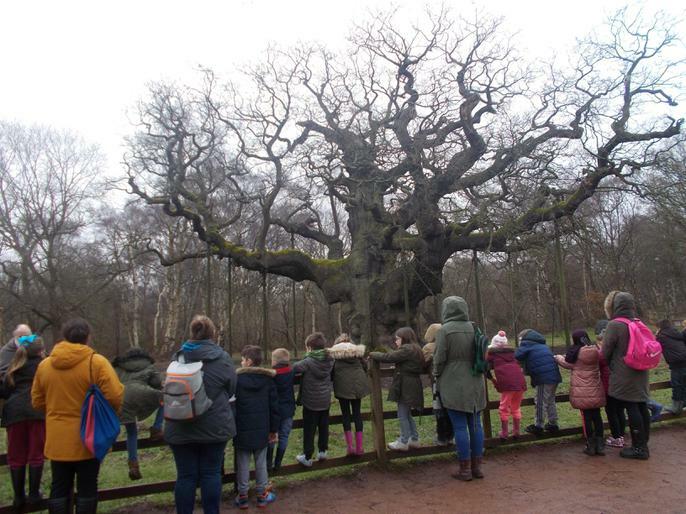 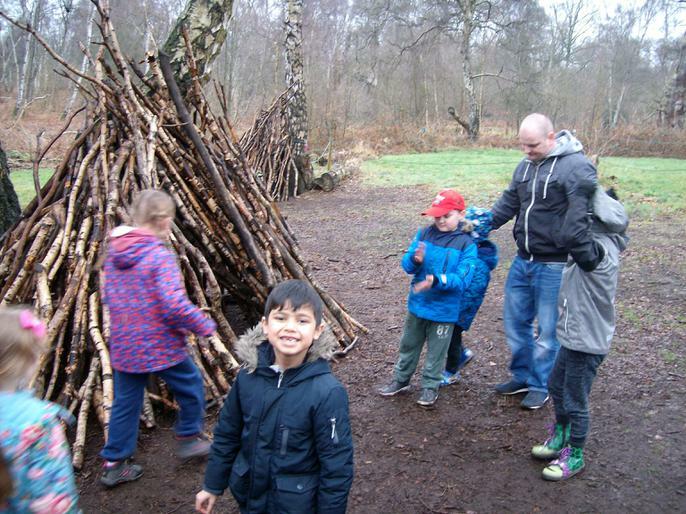 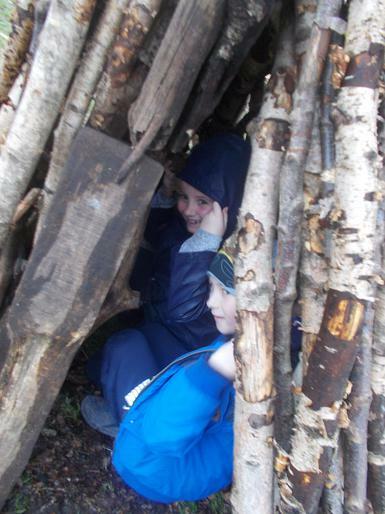 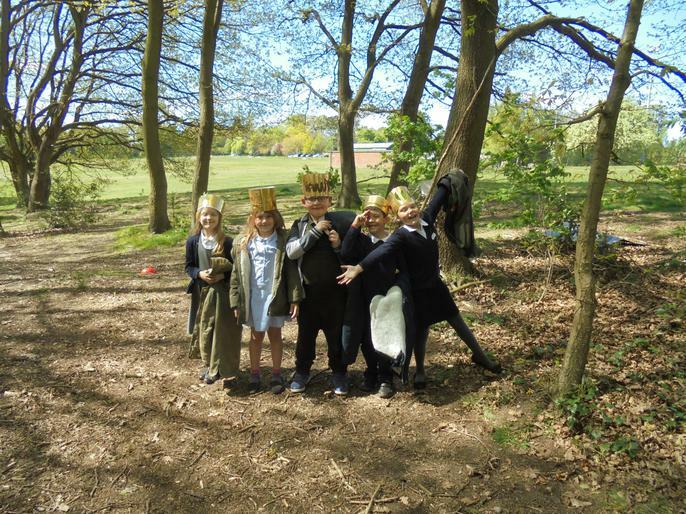 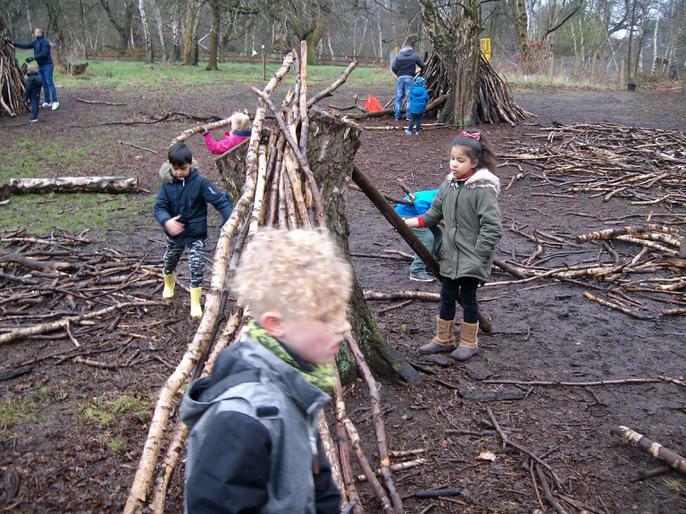 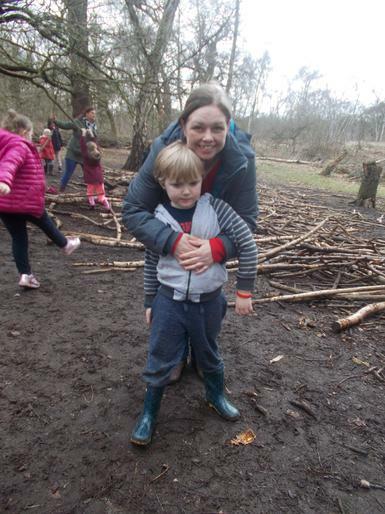 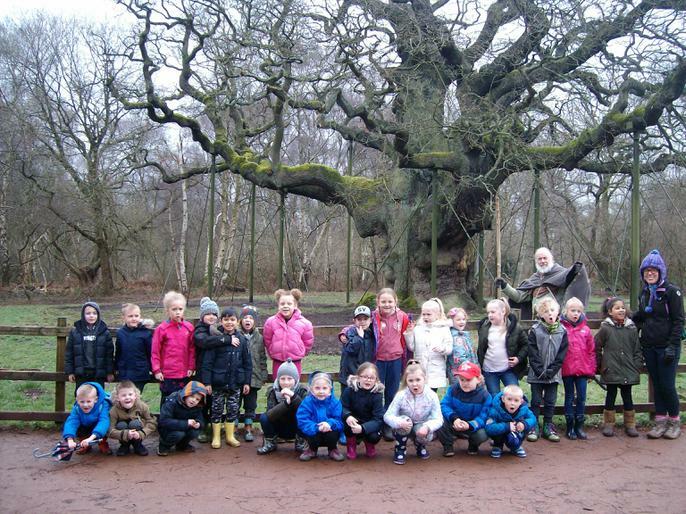 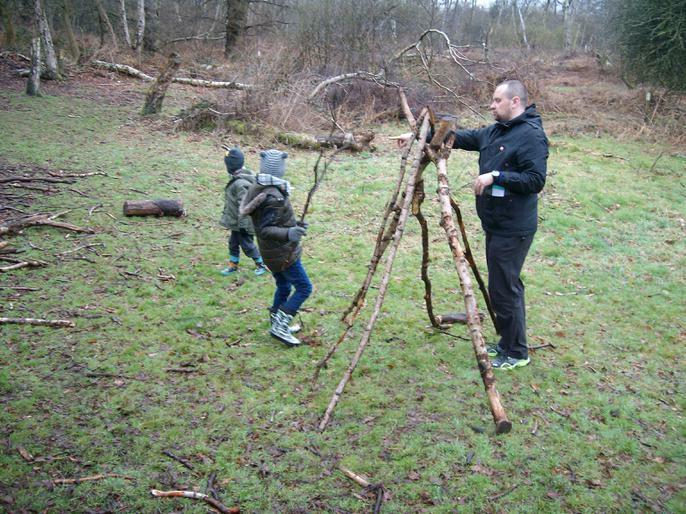 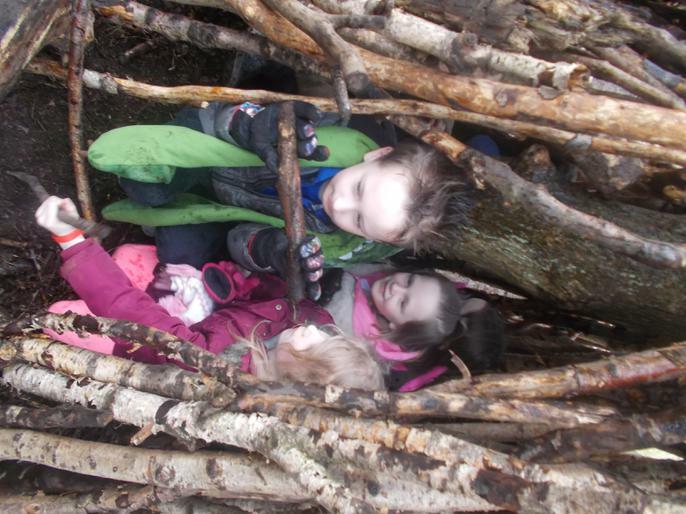 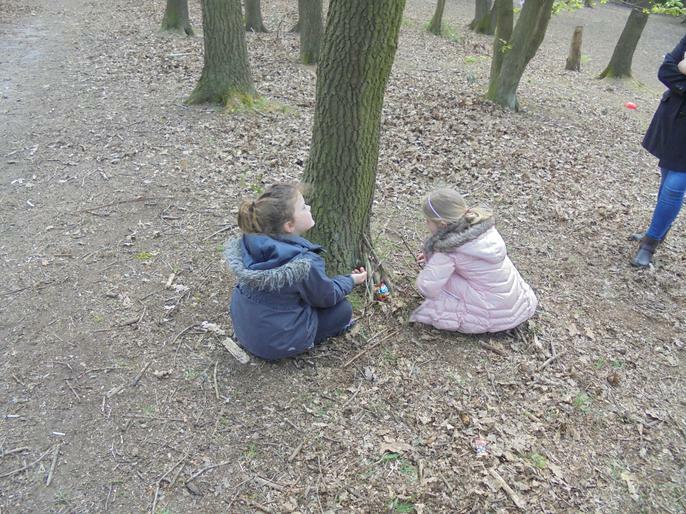 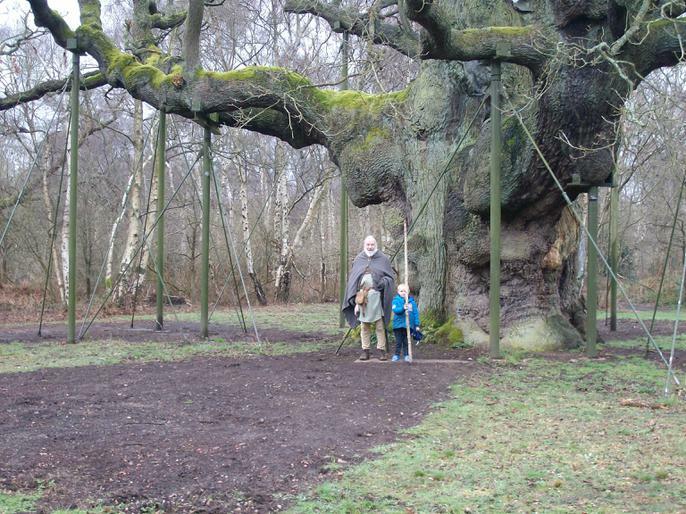 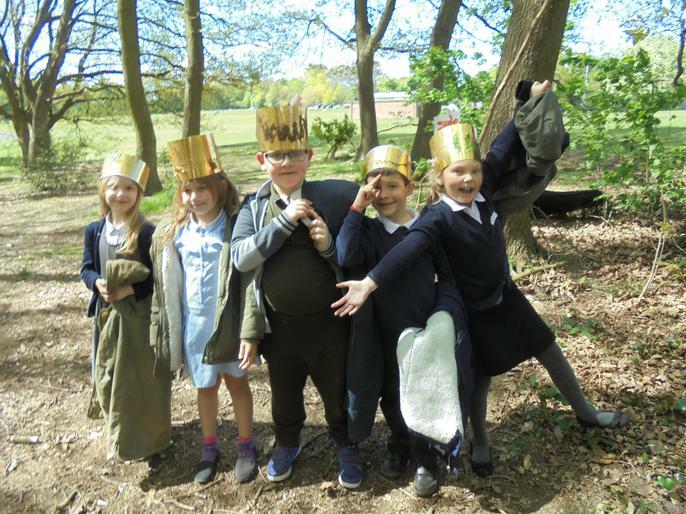 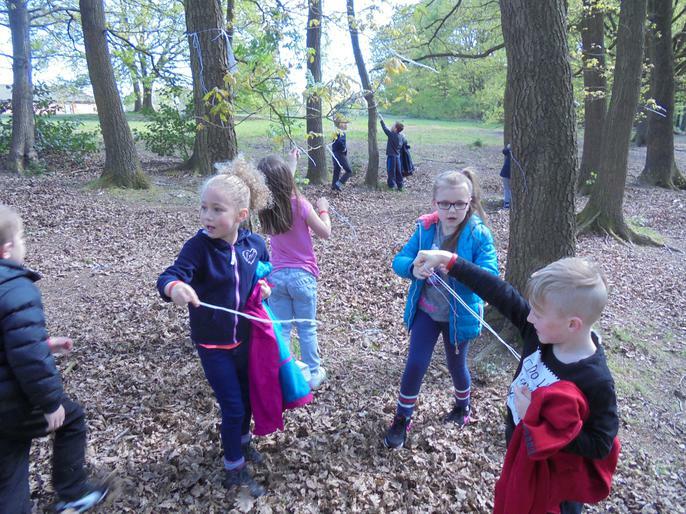 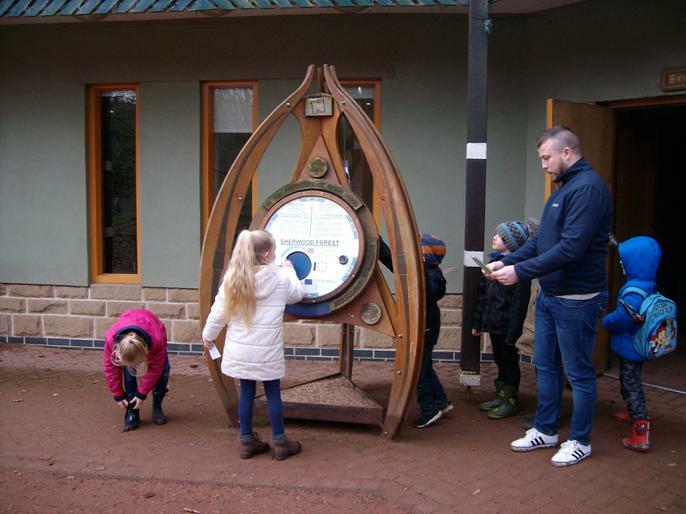 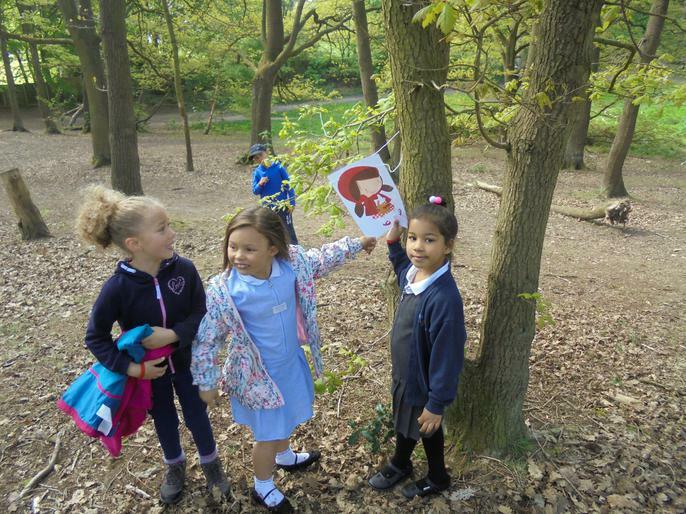 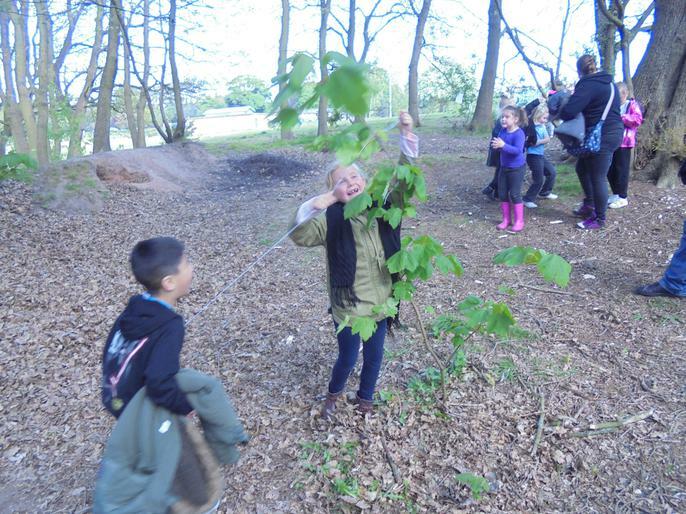 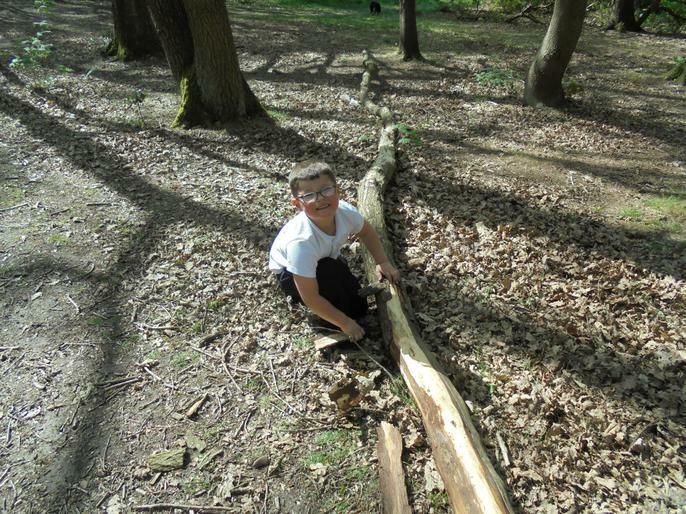 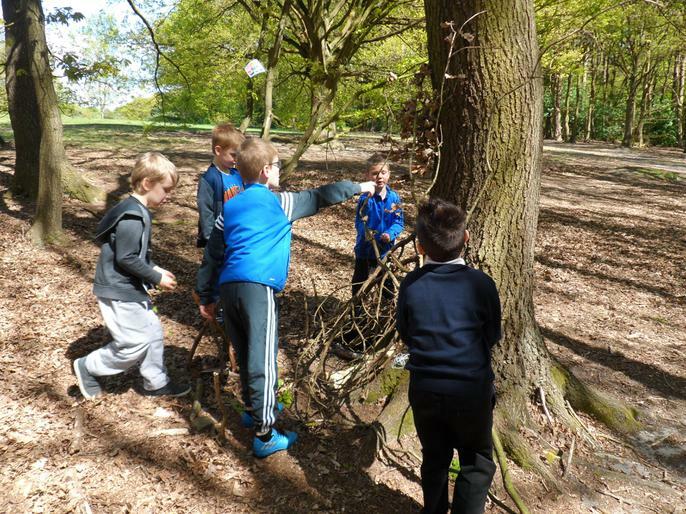 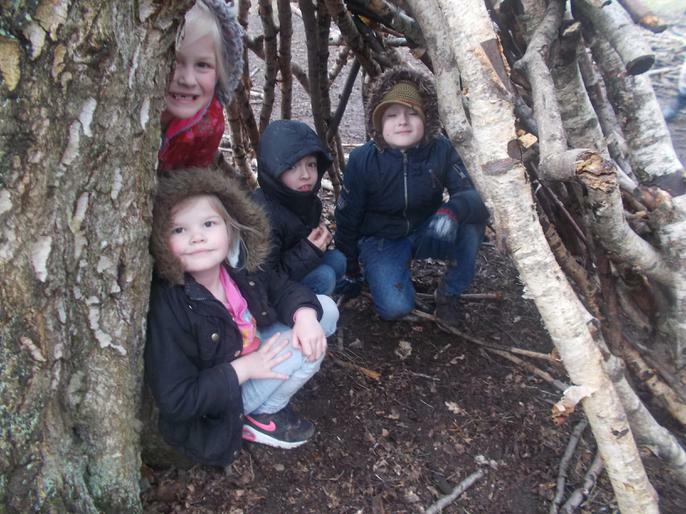 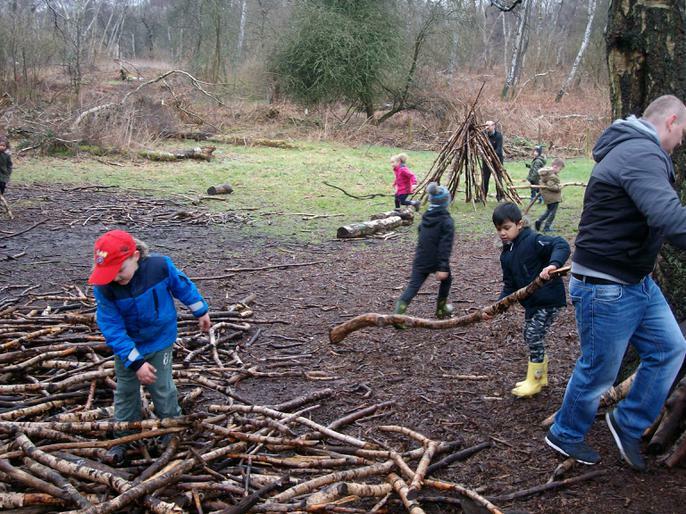 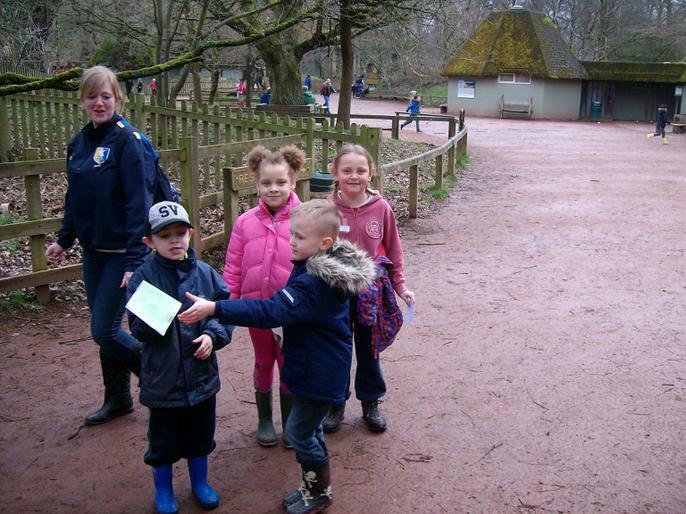 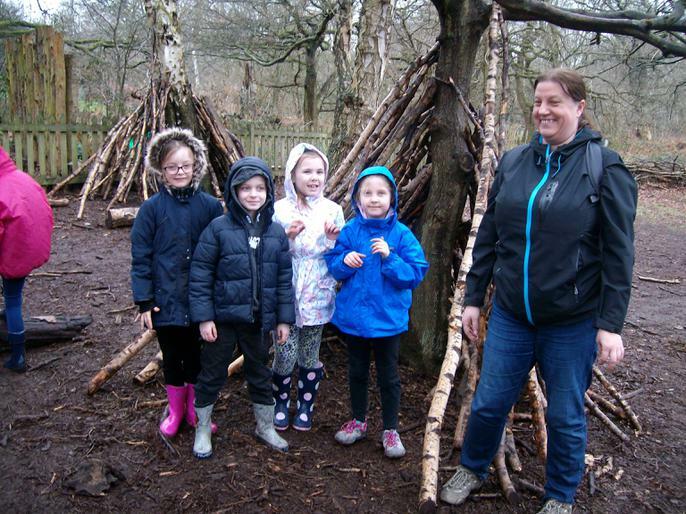 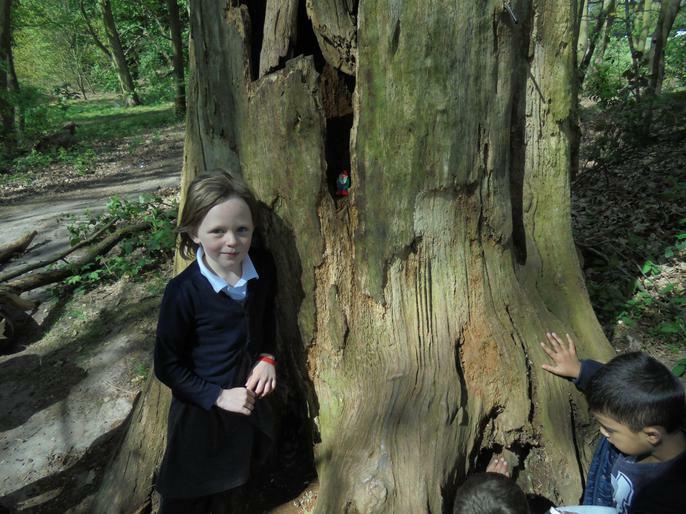 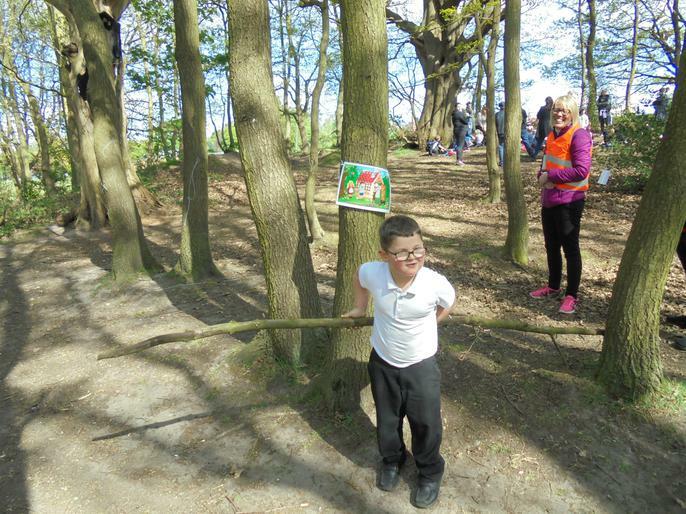 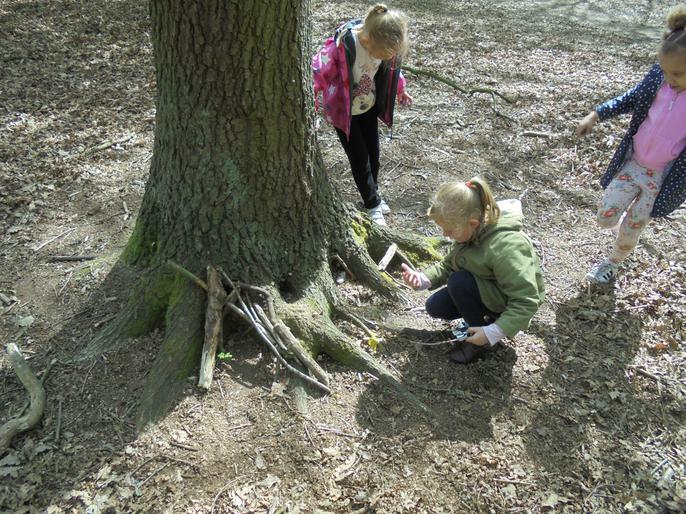 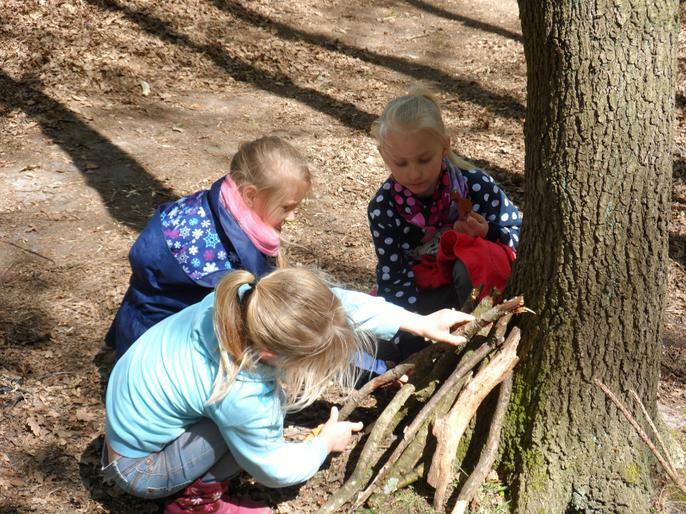 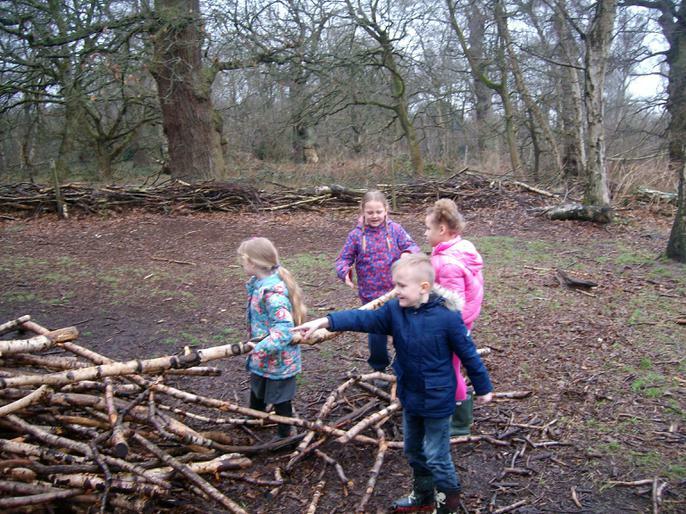 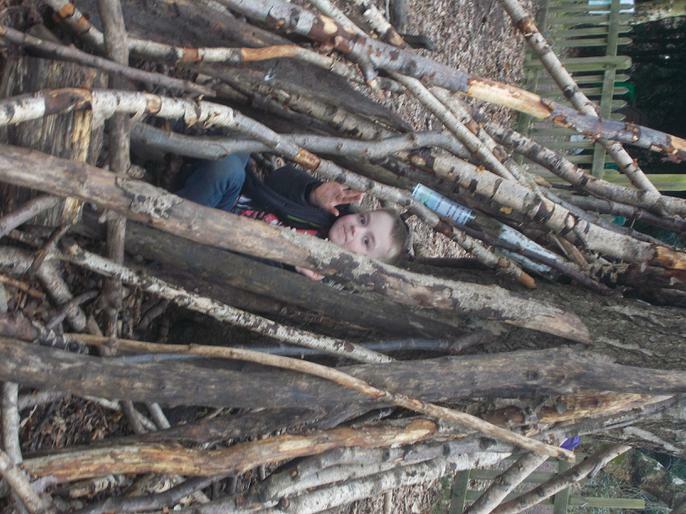 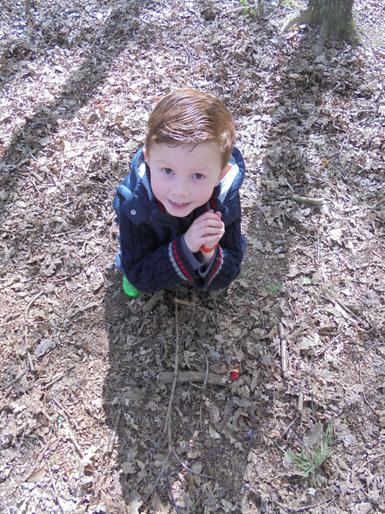 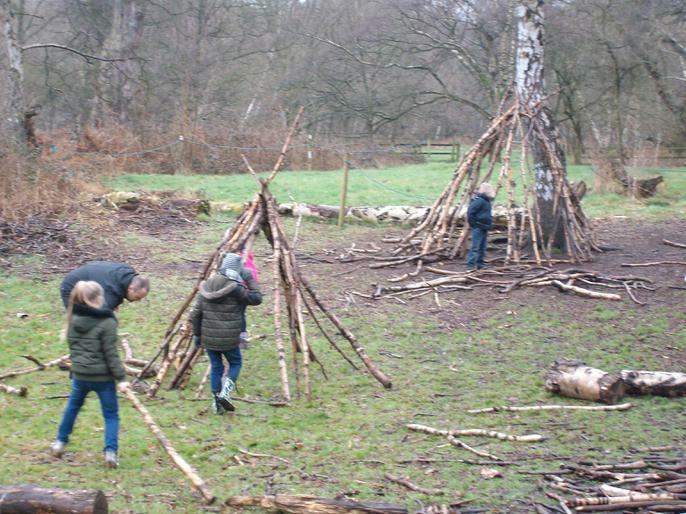 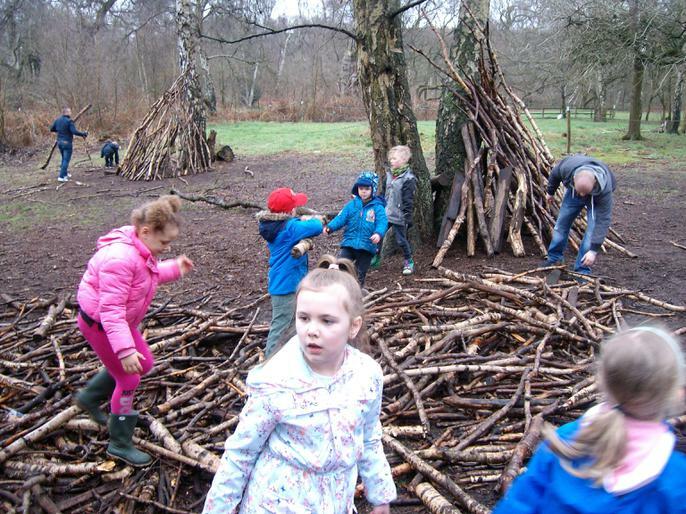 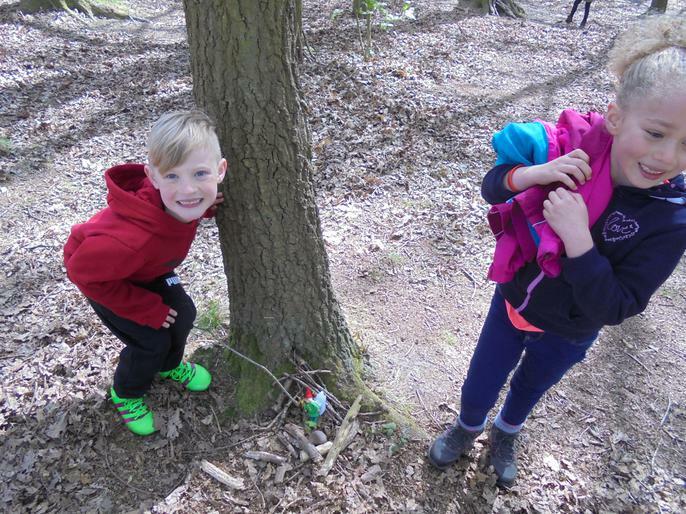 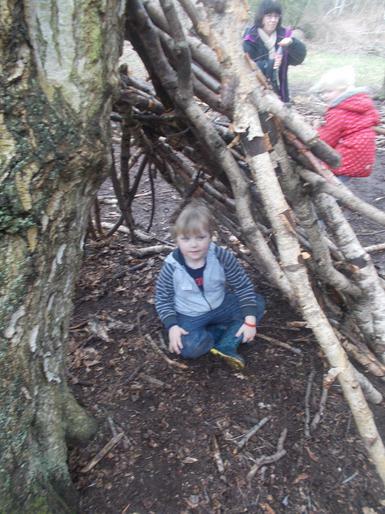 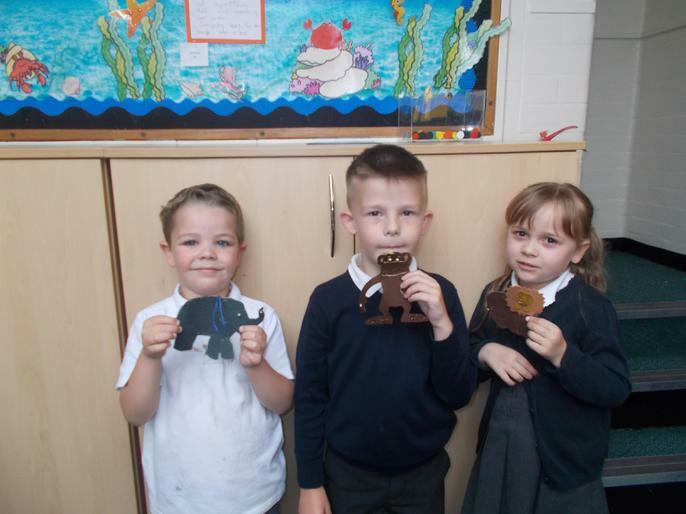 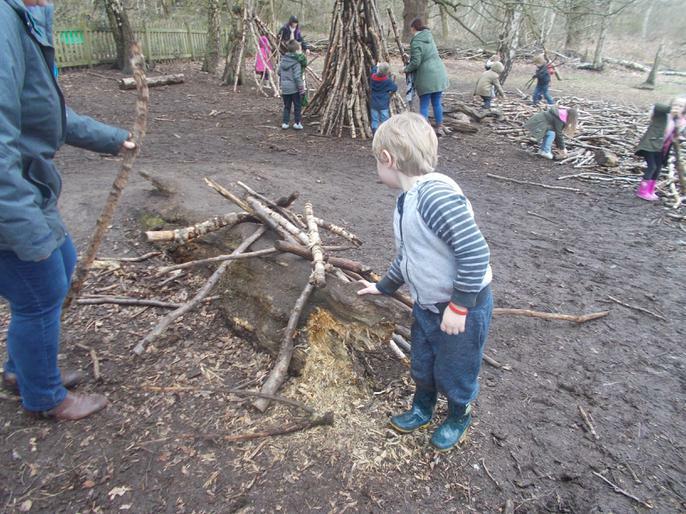 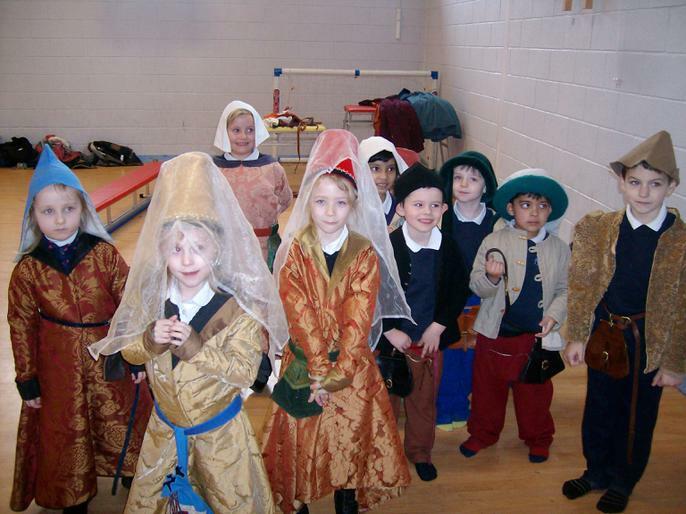 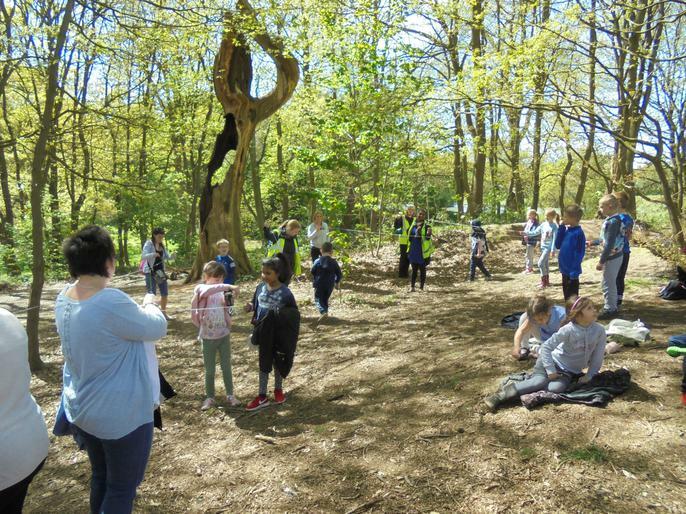 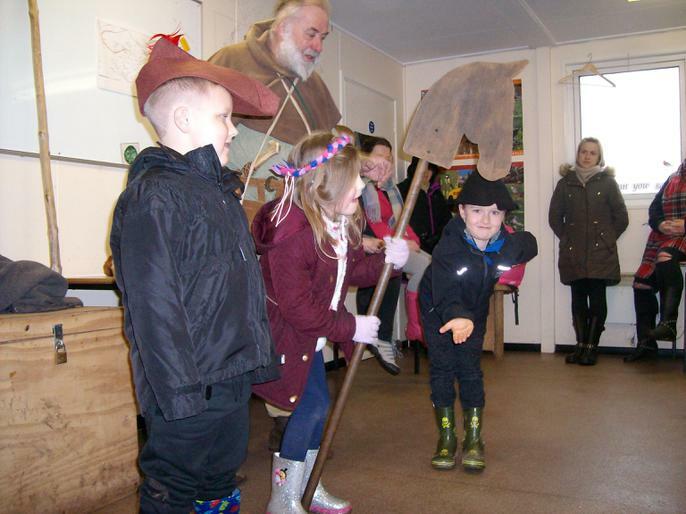 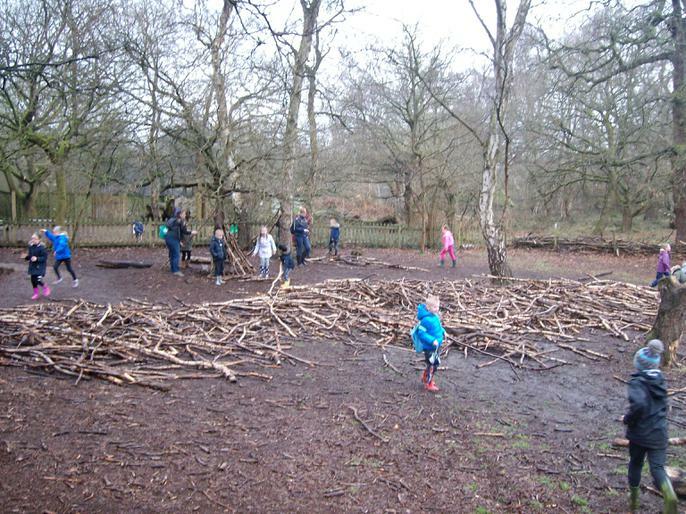 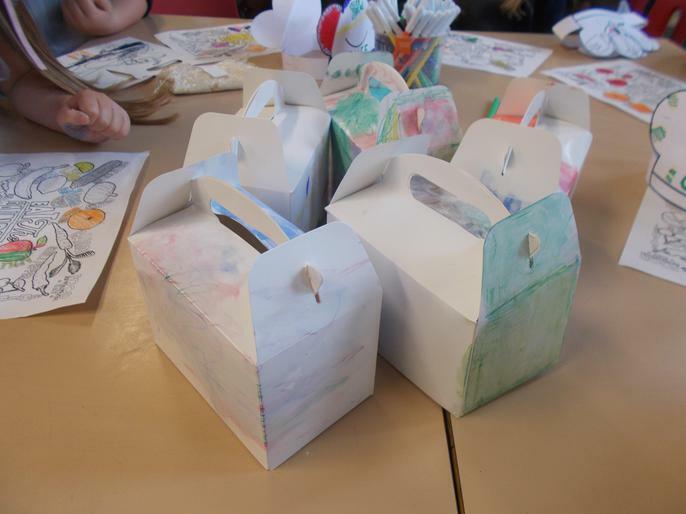 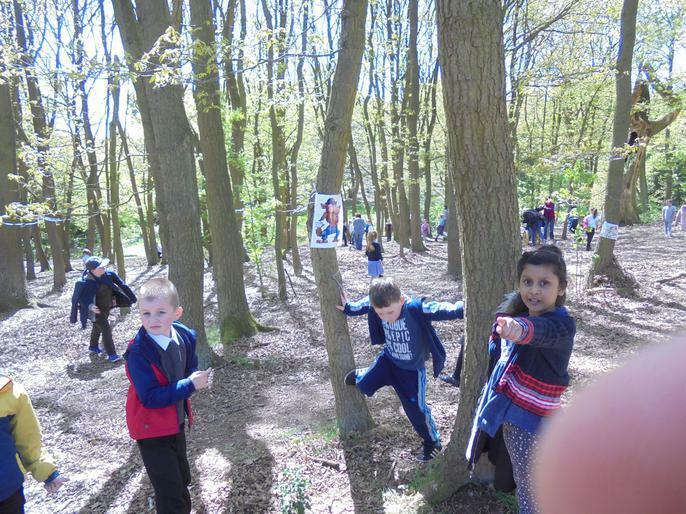 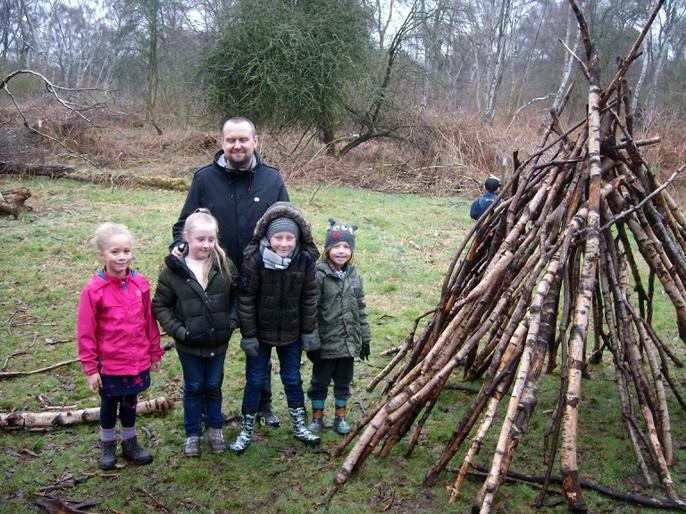 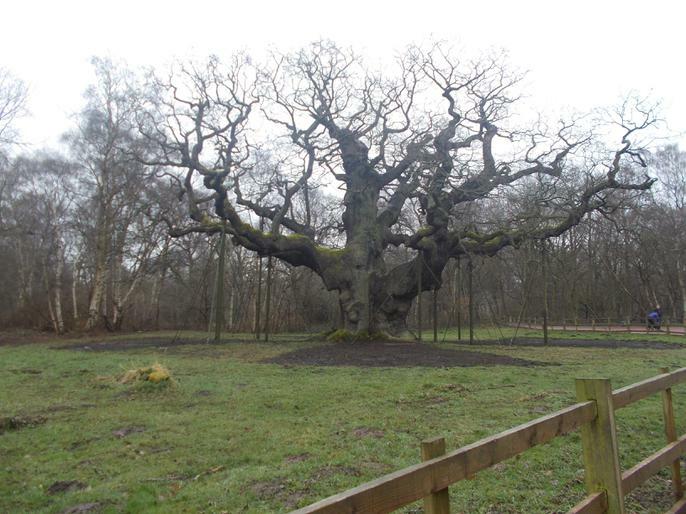 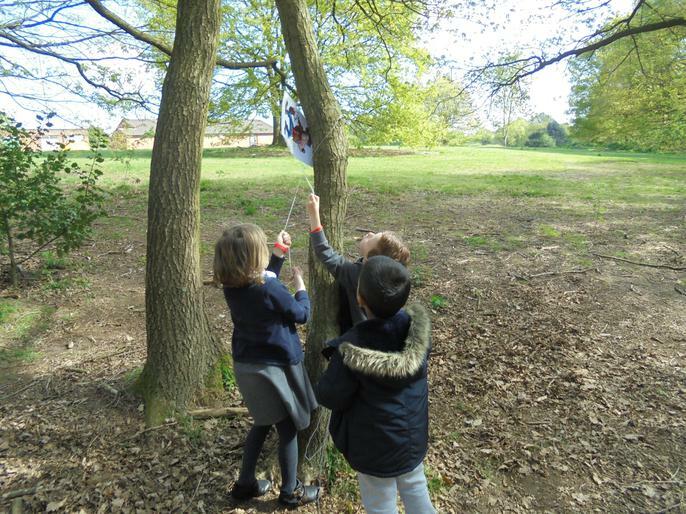 KS1 Pupils & Staff visited Berry Hill Park as part of their Traditional Tale Topic - They looked for characters and then made homes for them.